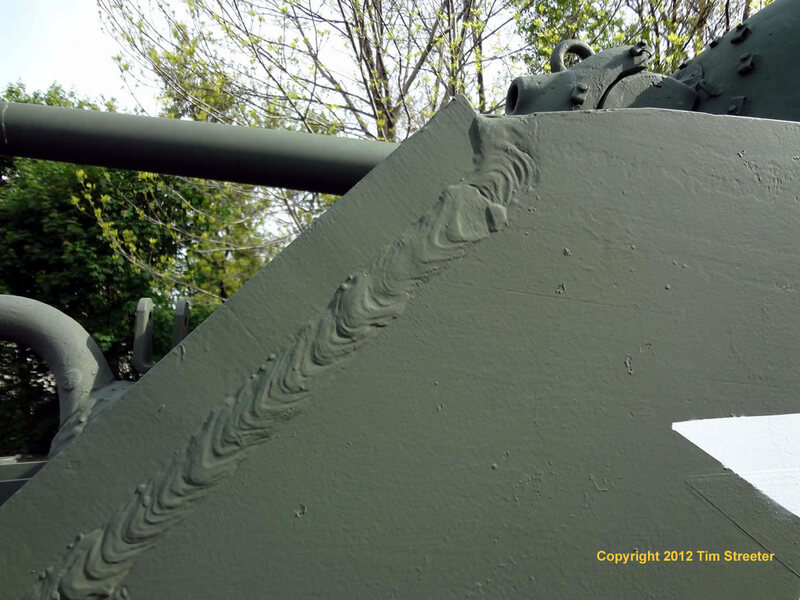 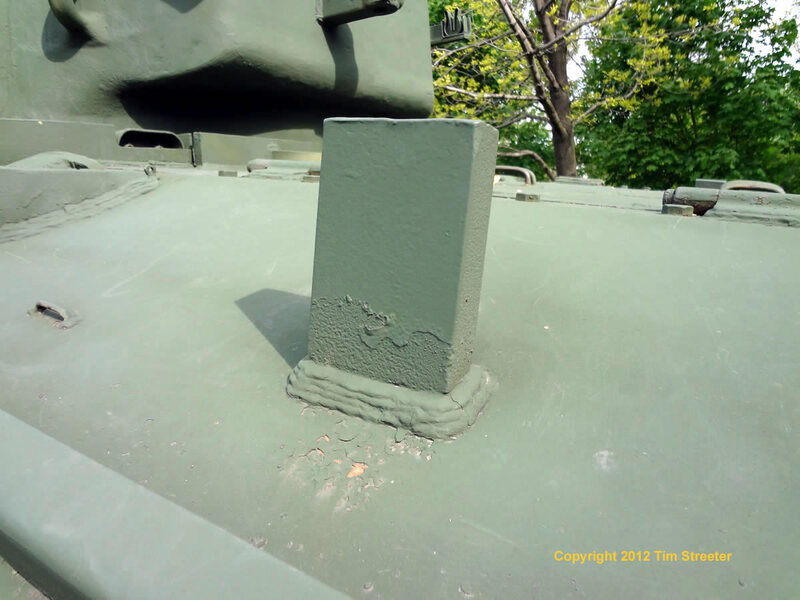 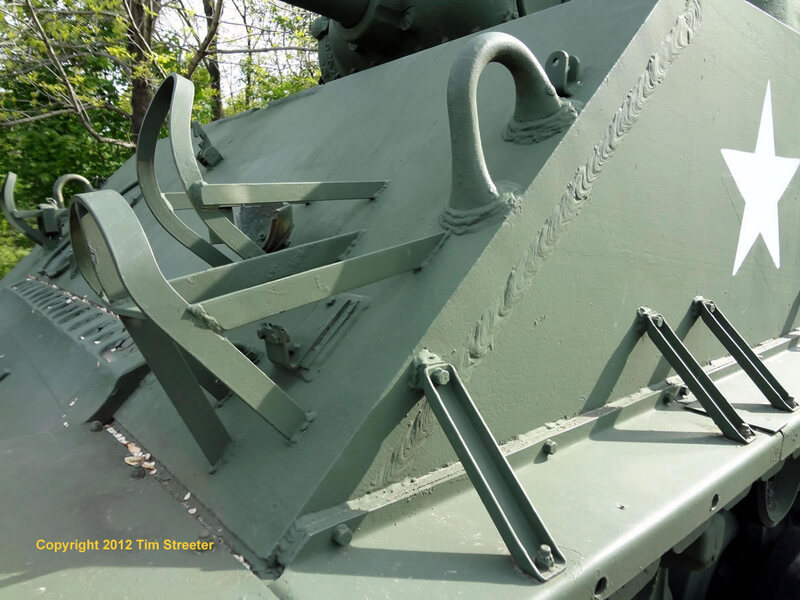 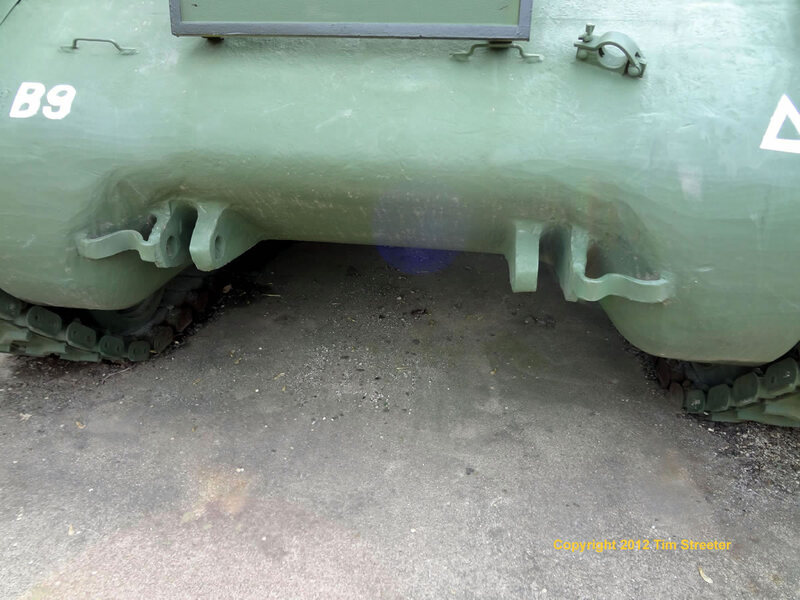 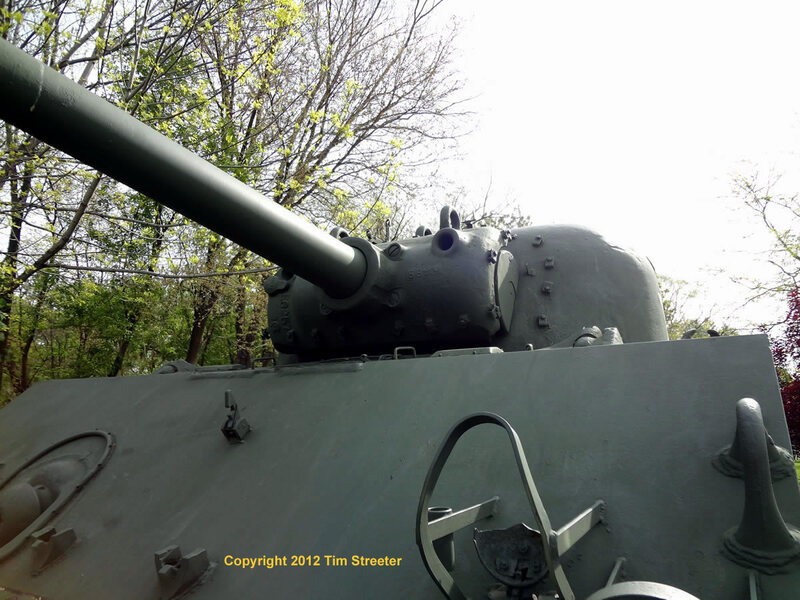 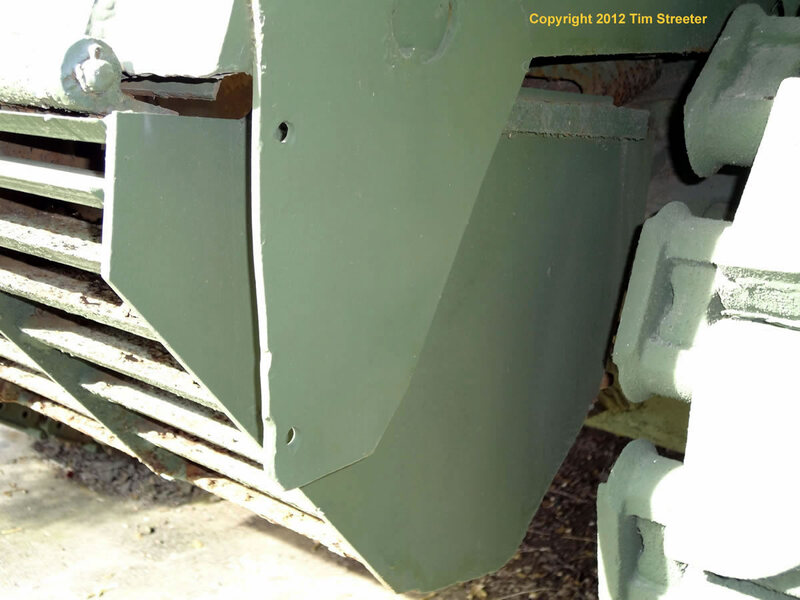 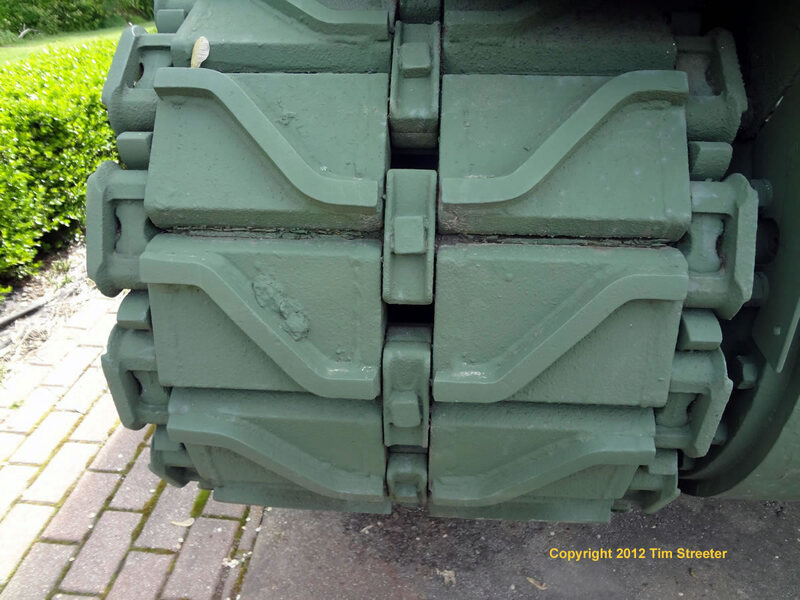 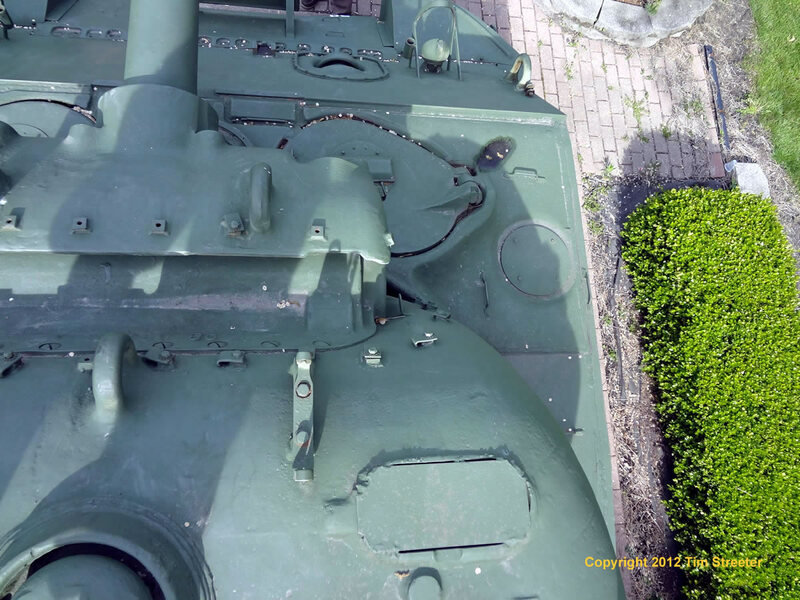 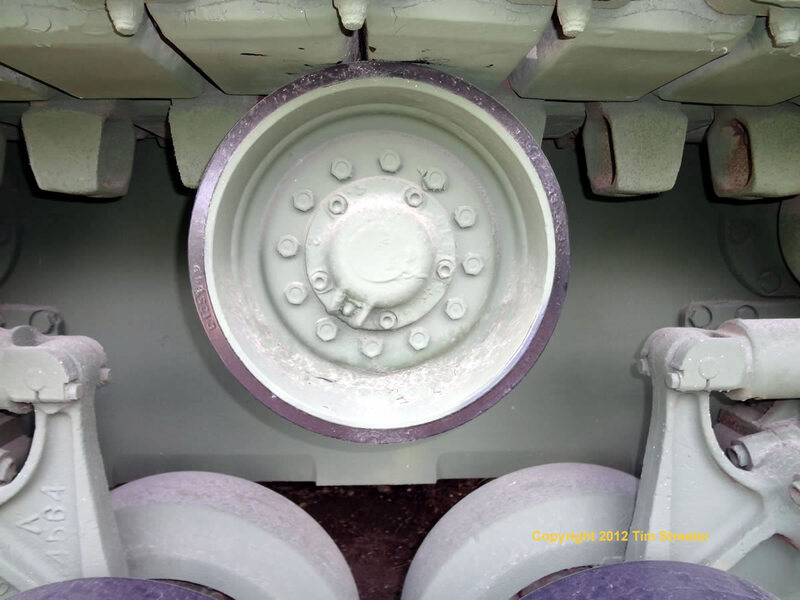 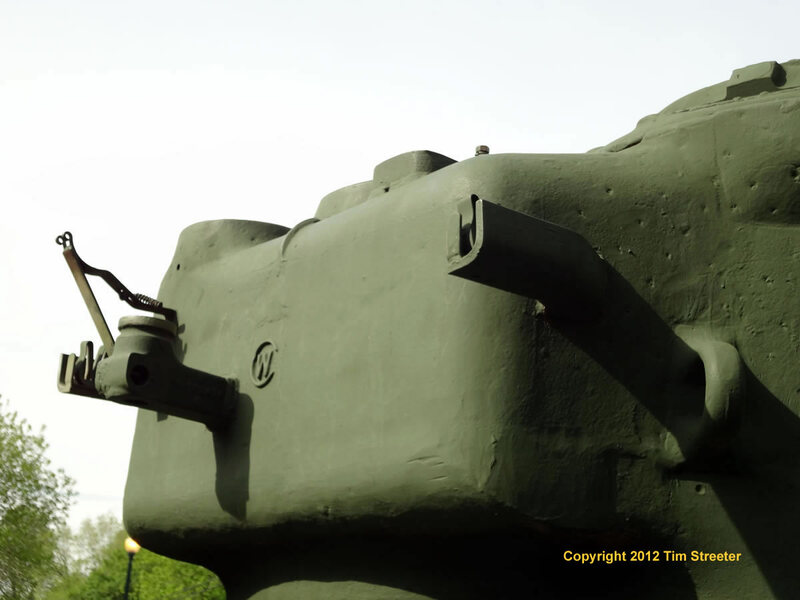 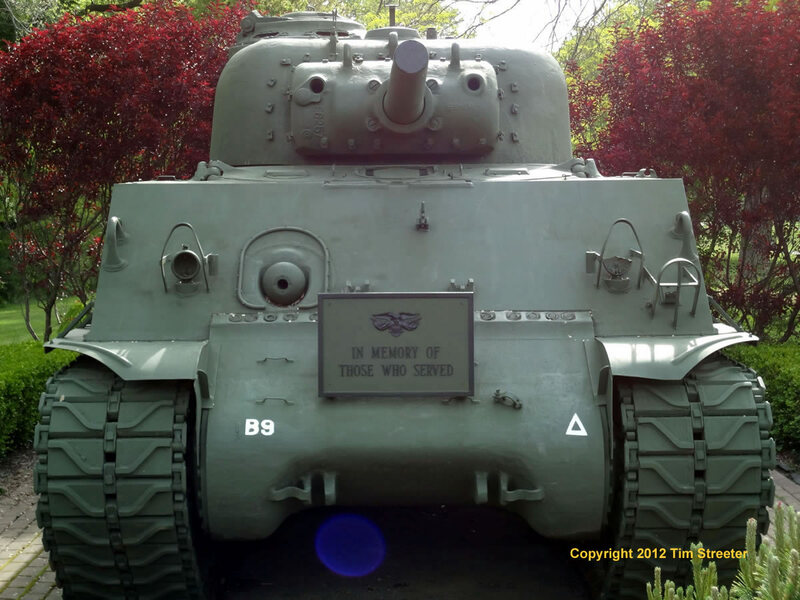 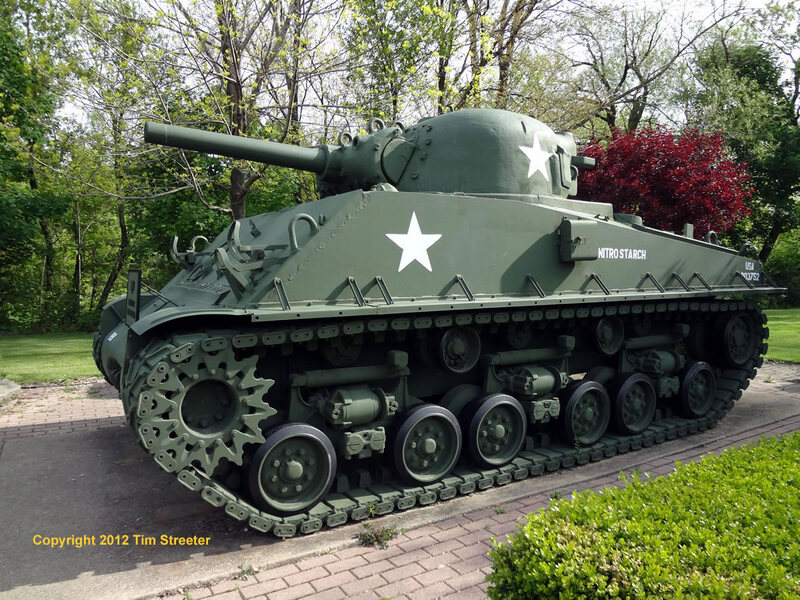 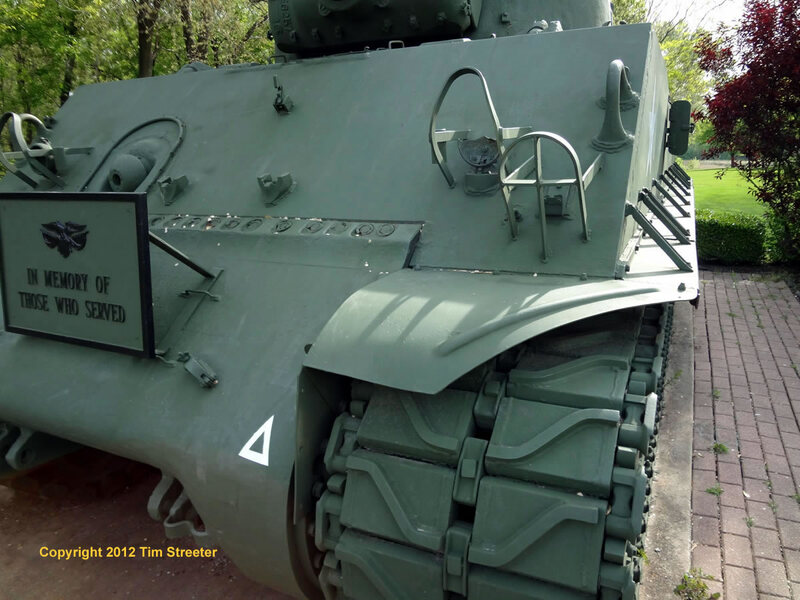 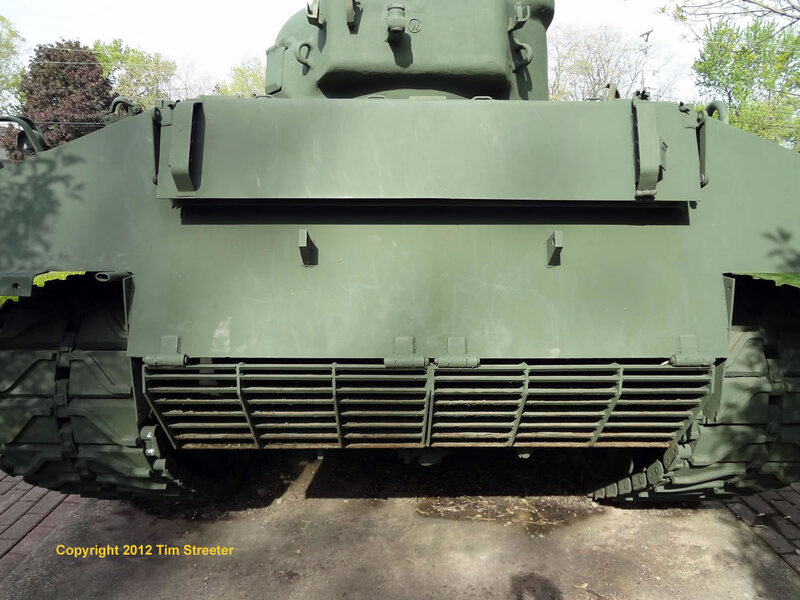 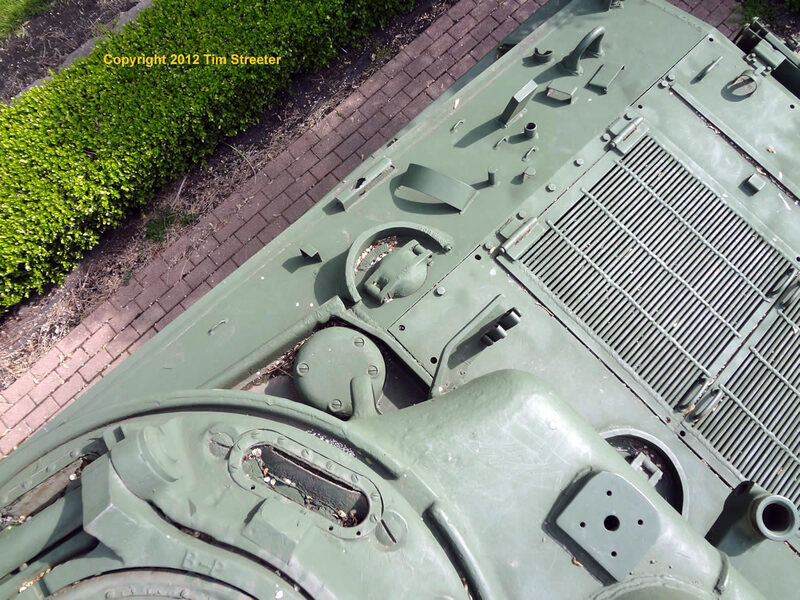 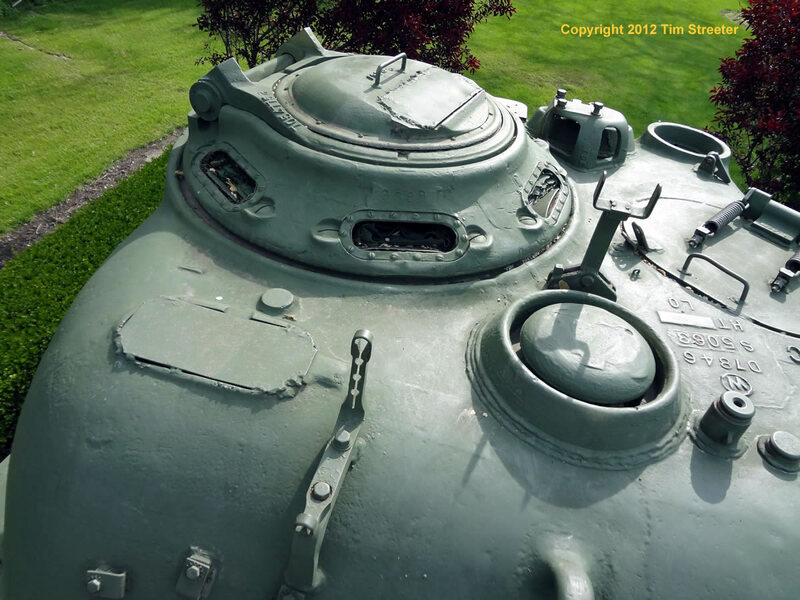 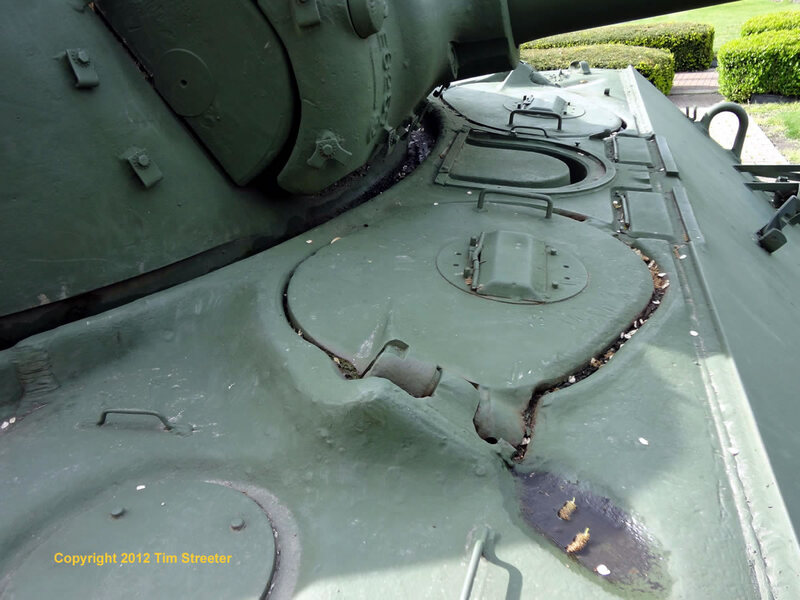 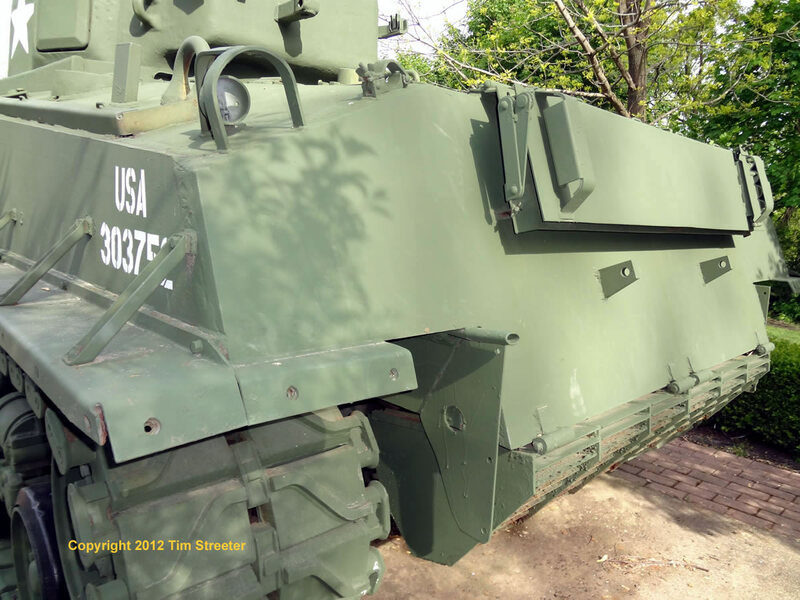 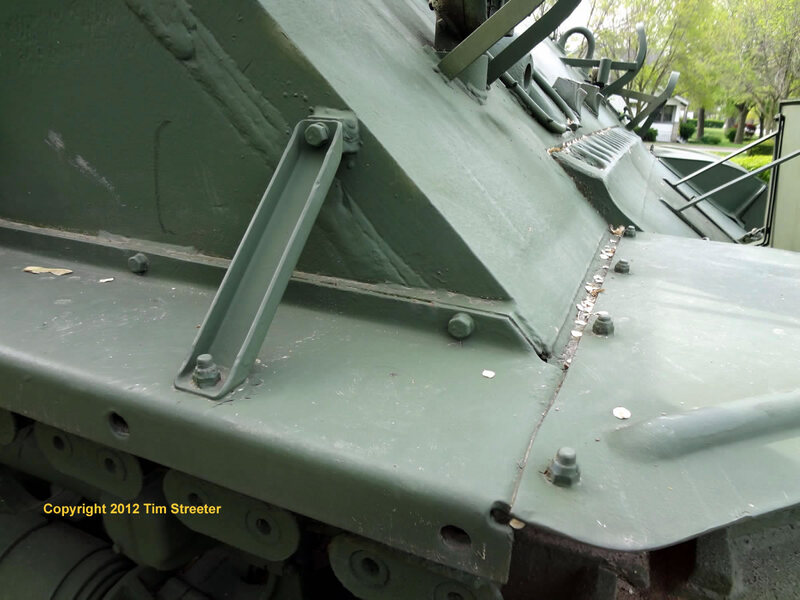 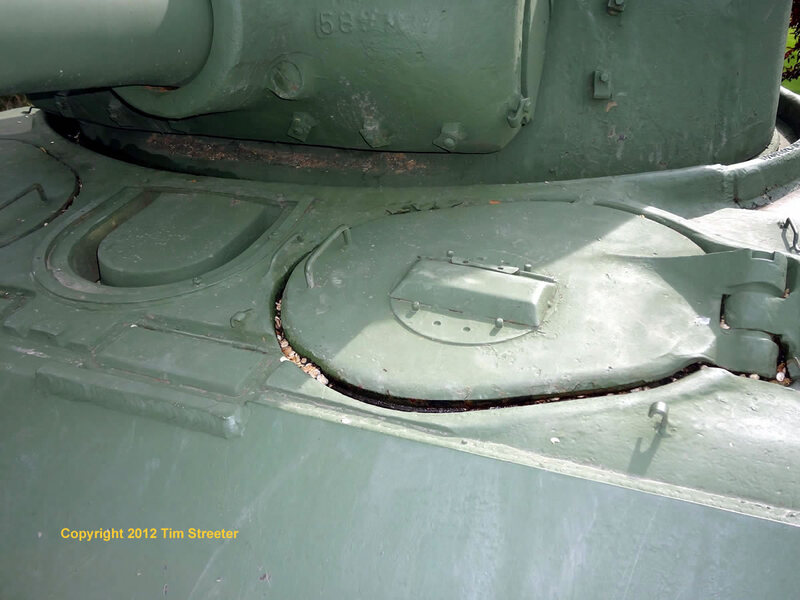 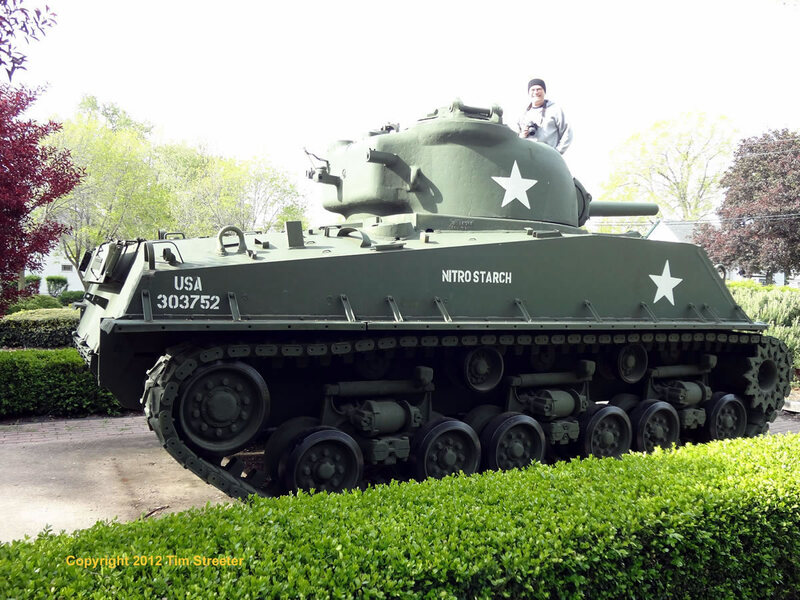 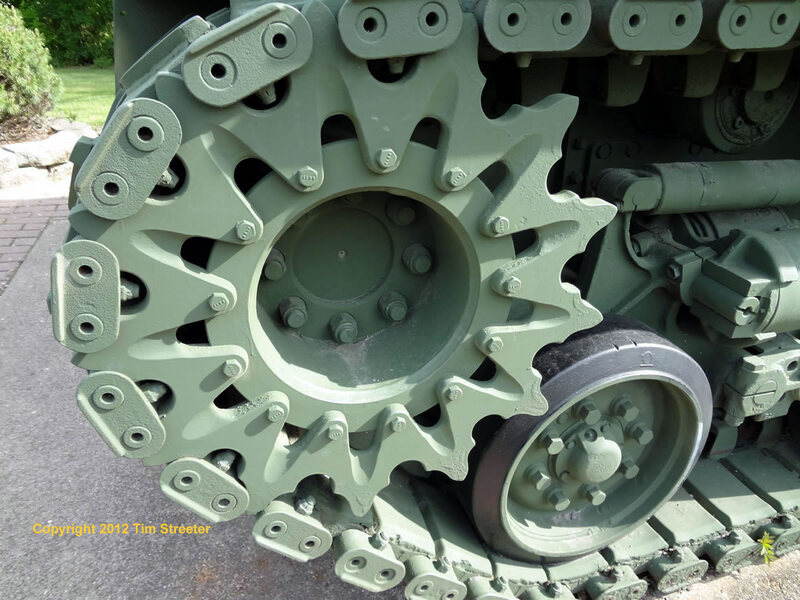 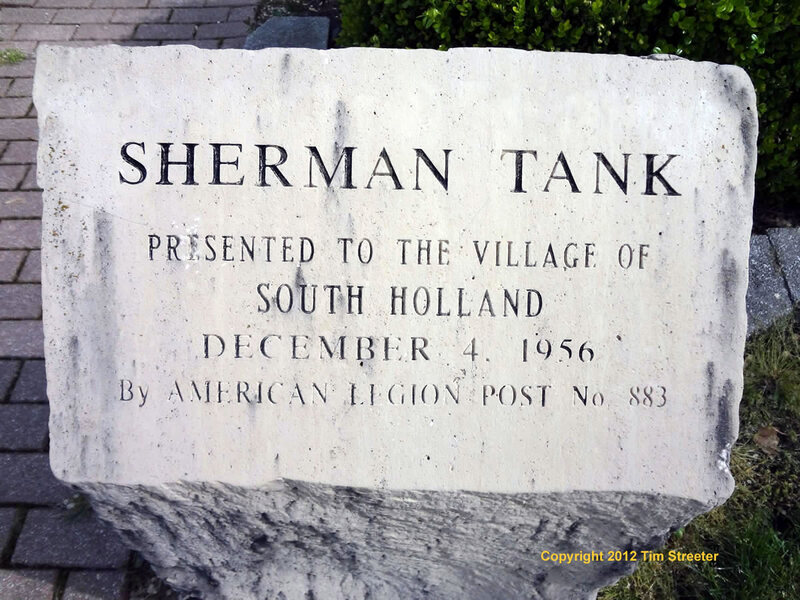 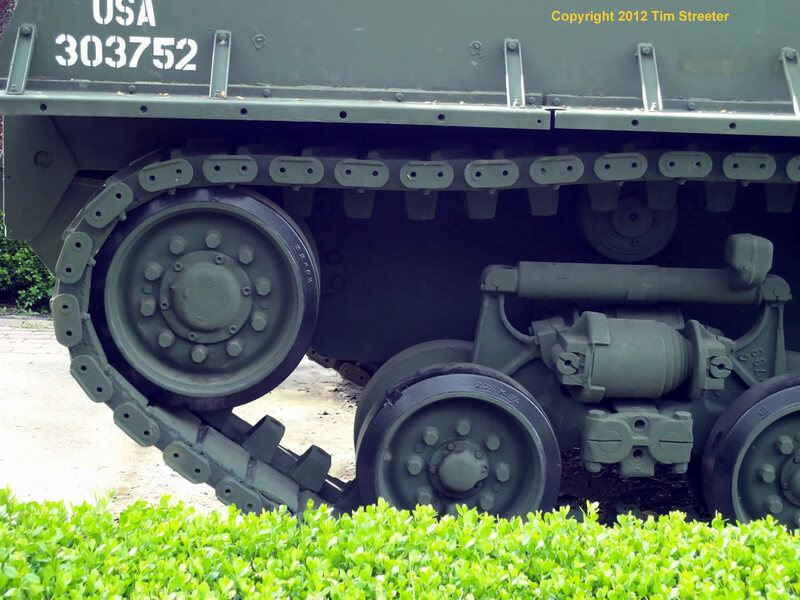 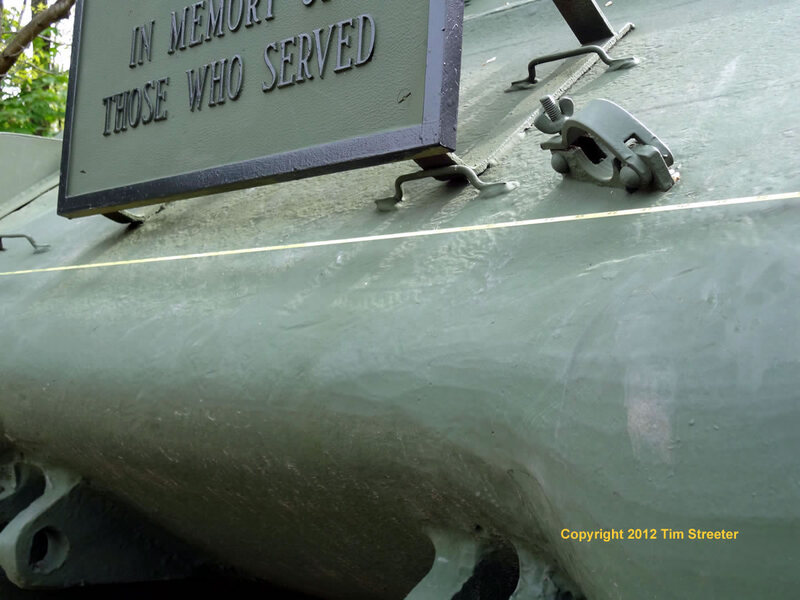 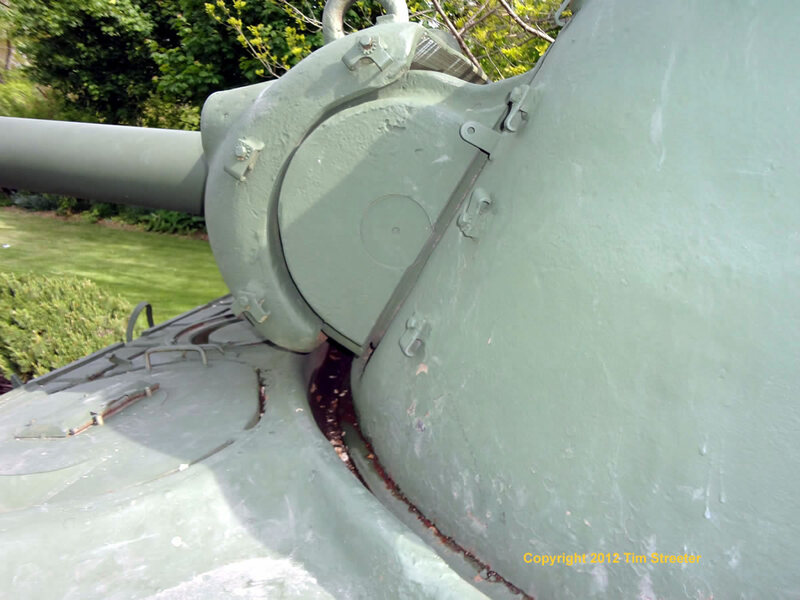 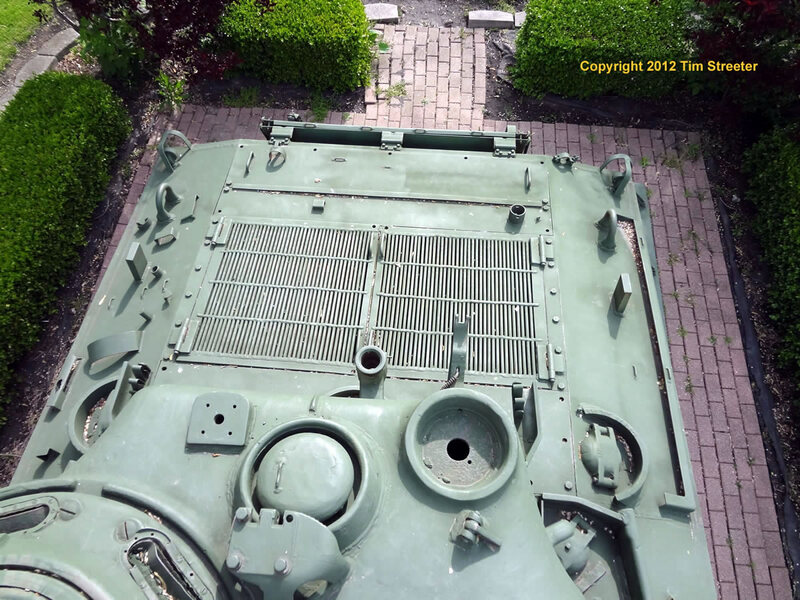 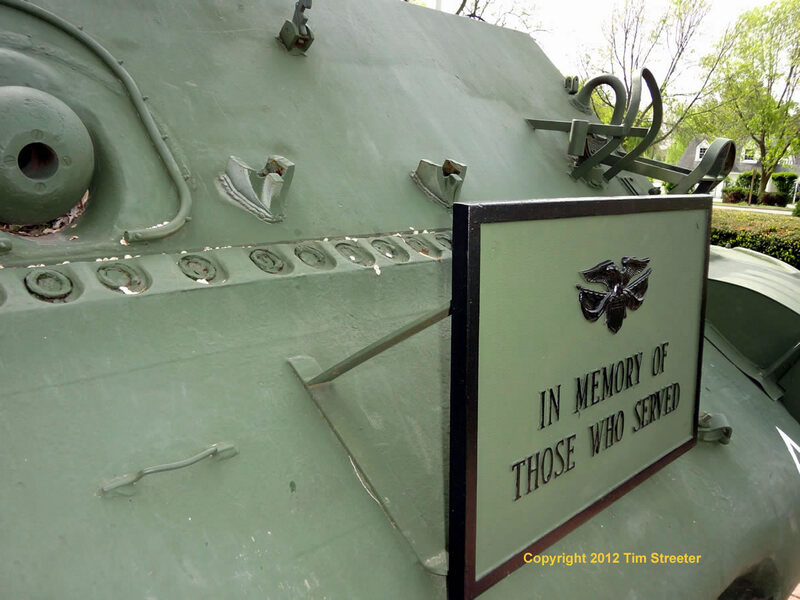 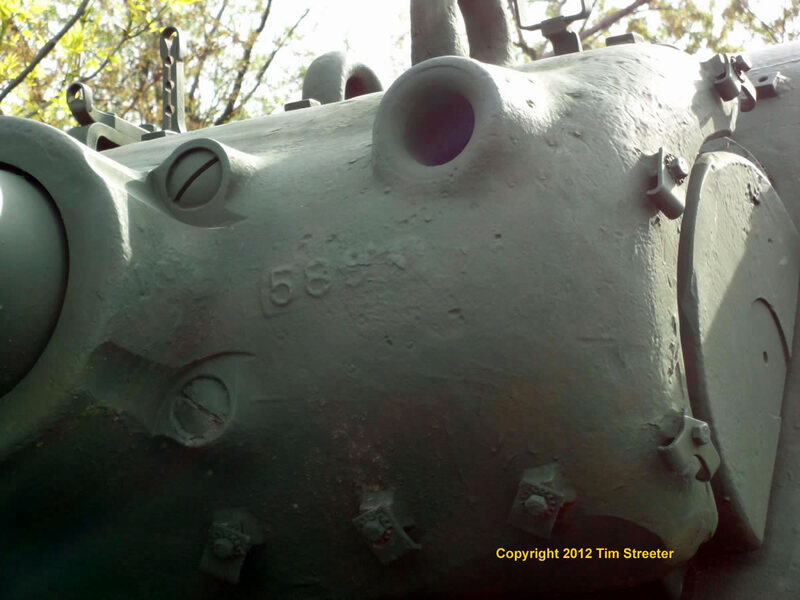 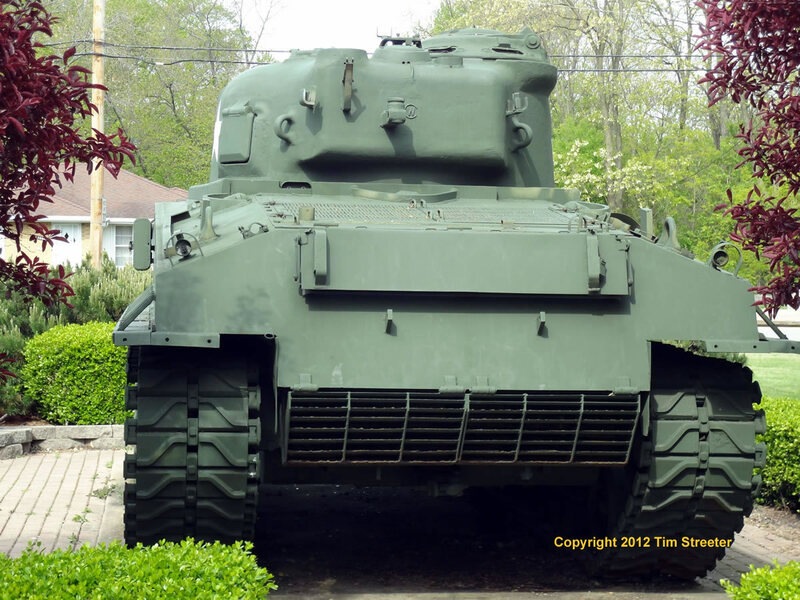 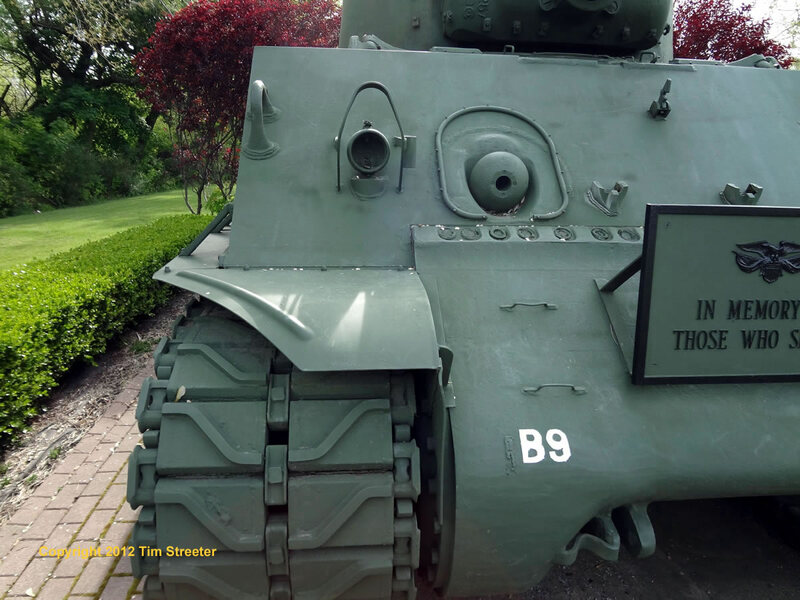 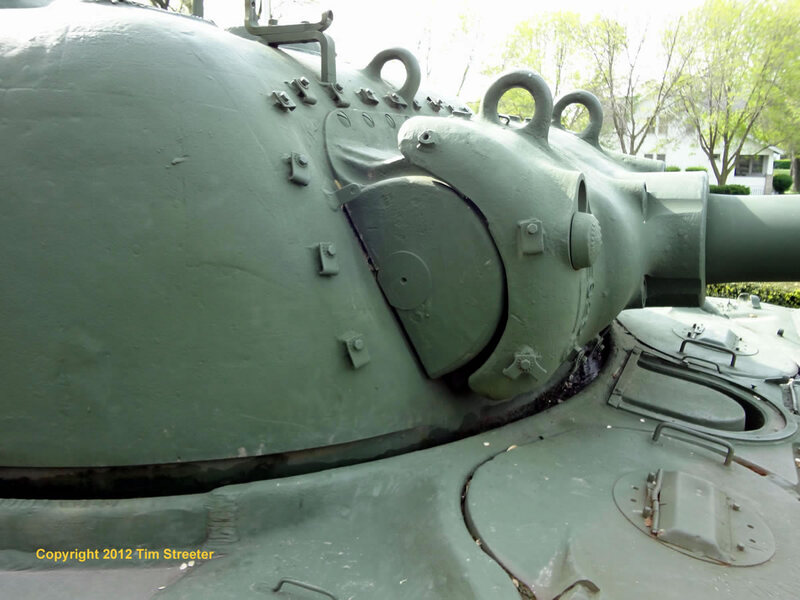 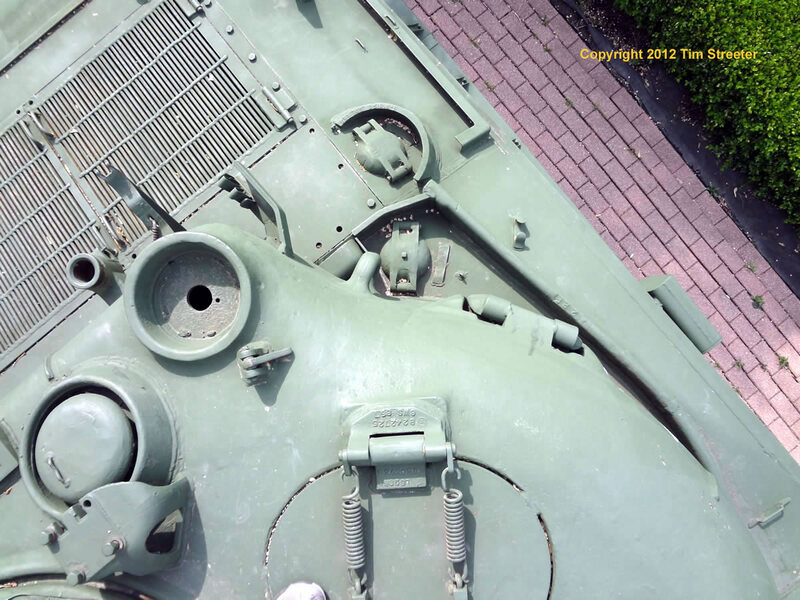 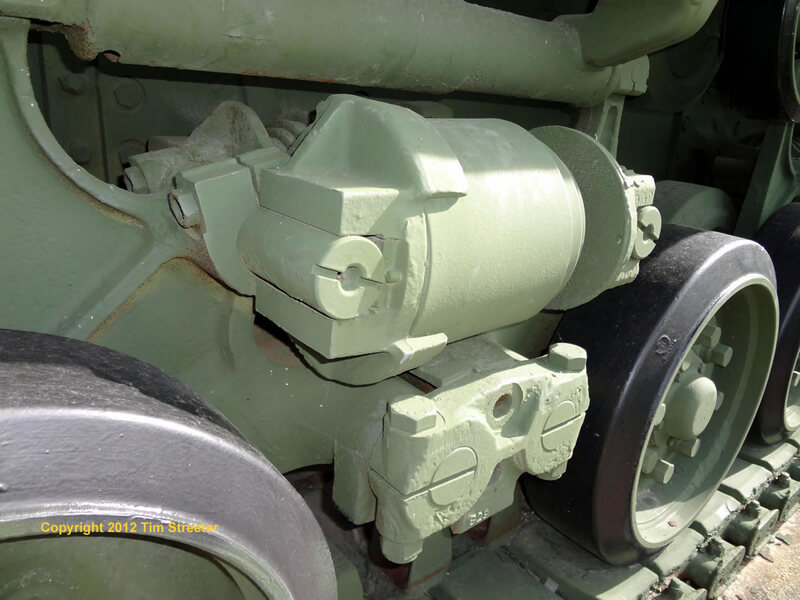 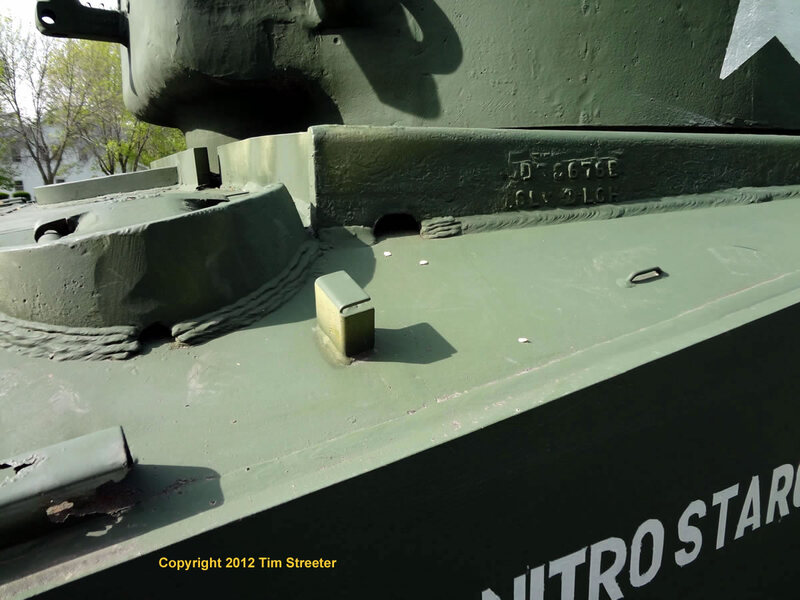 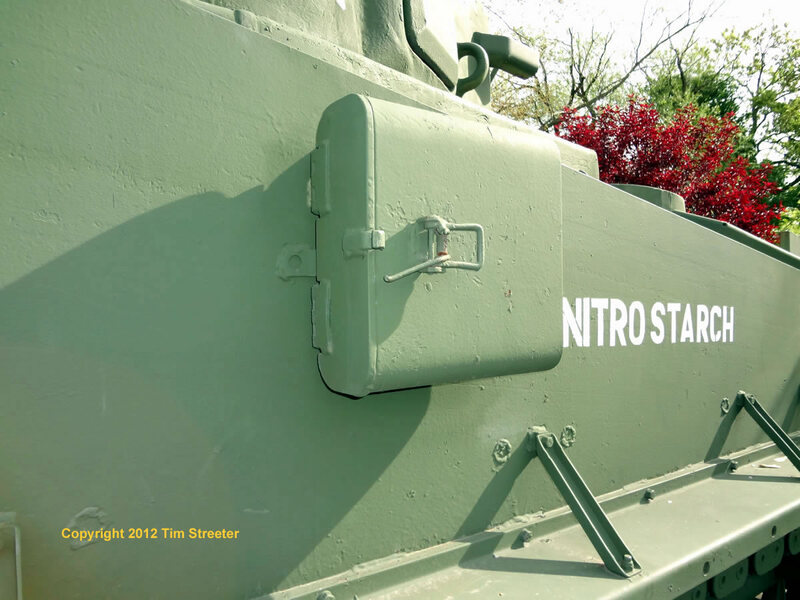 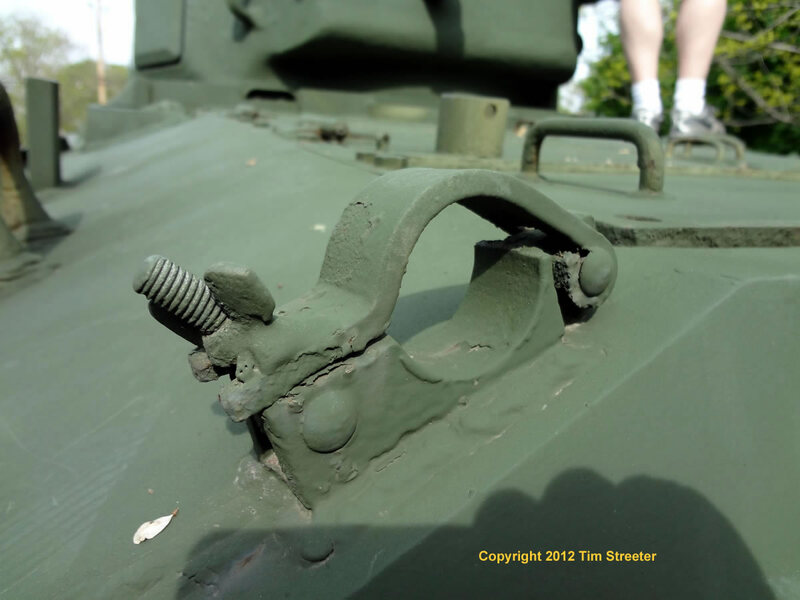 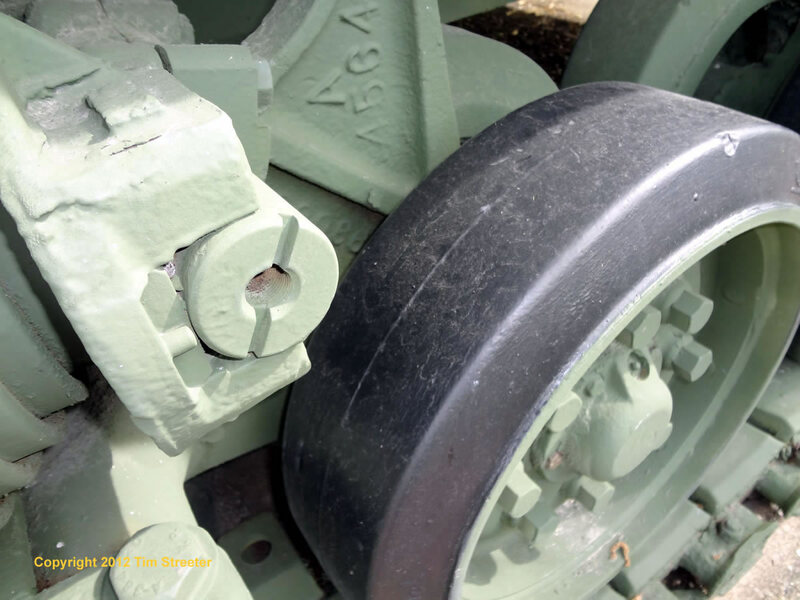 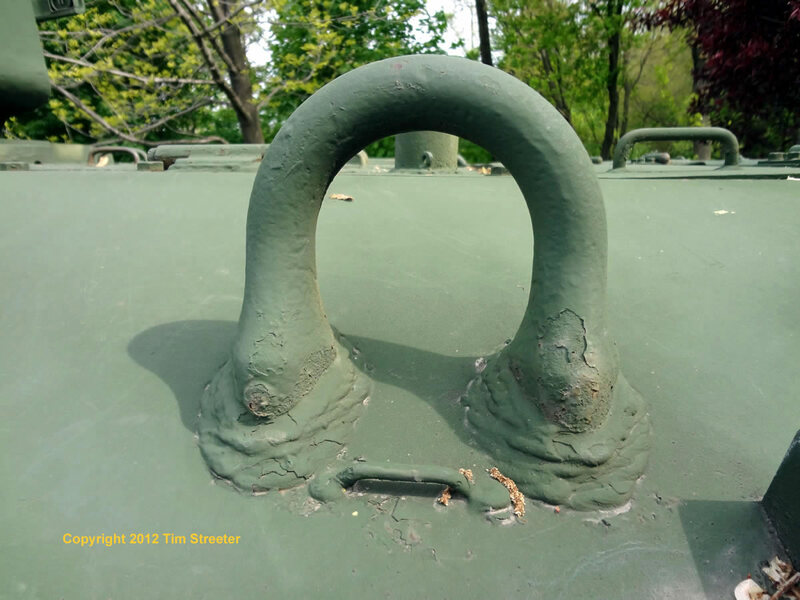 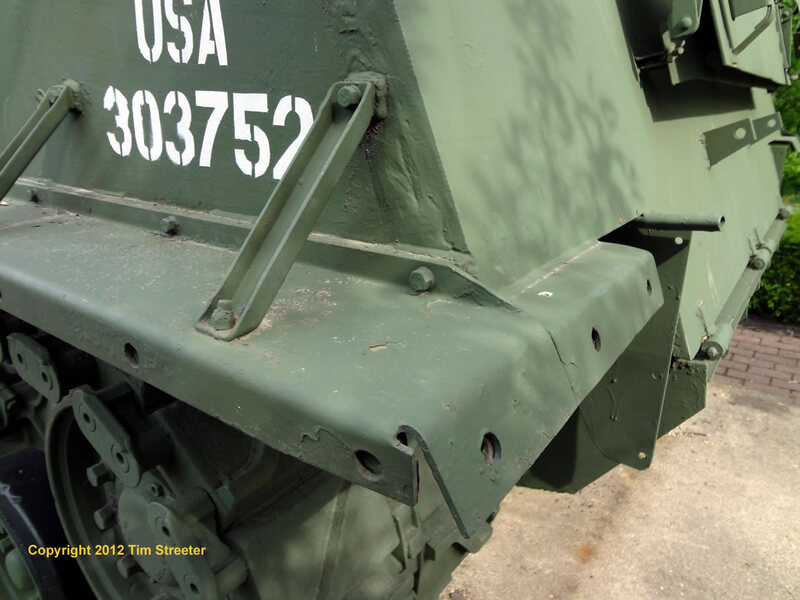 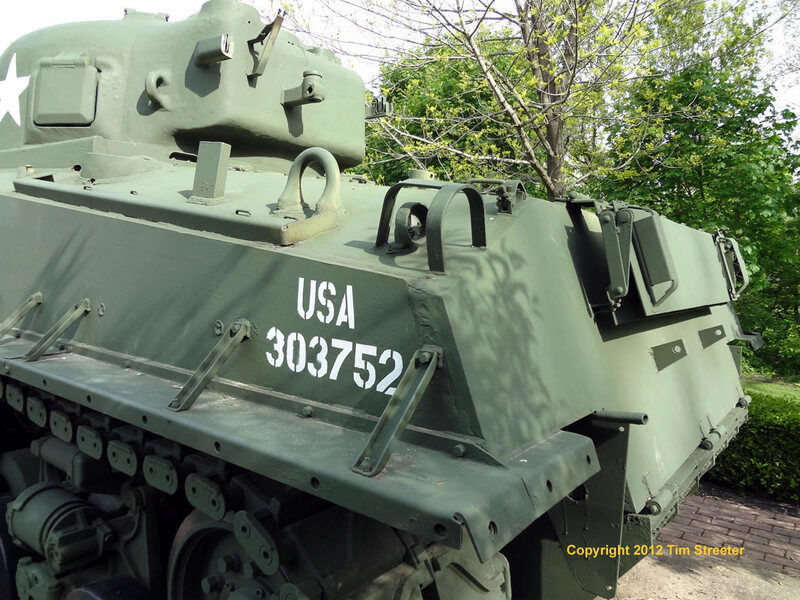 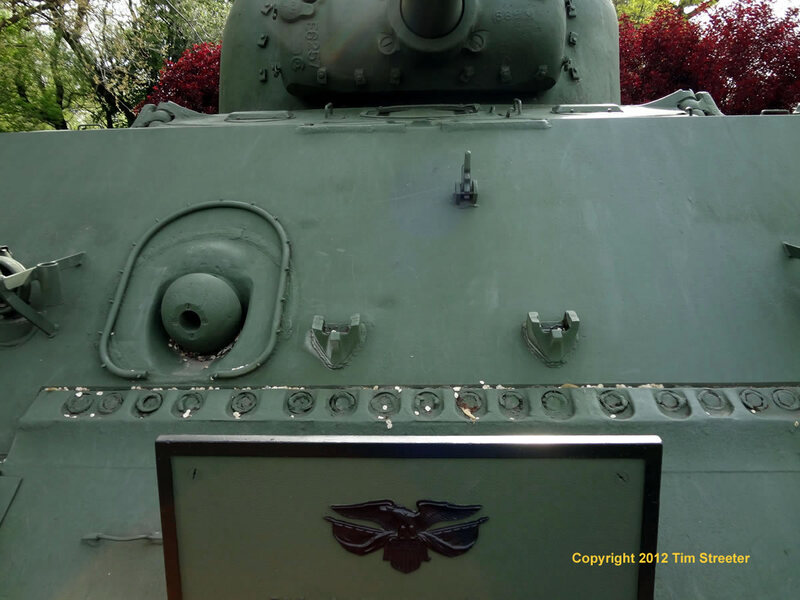 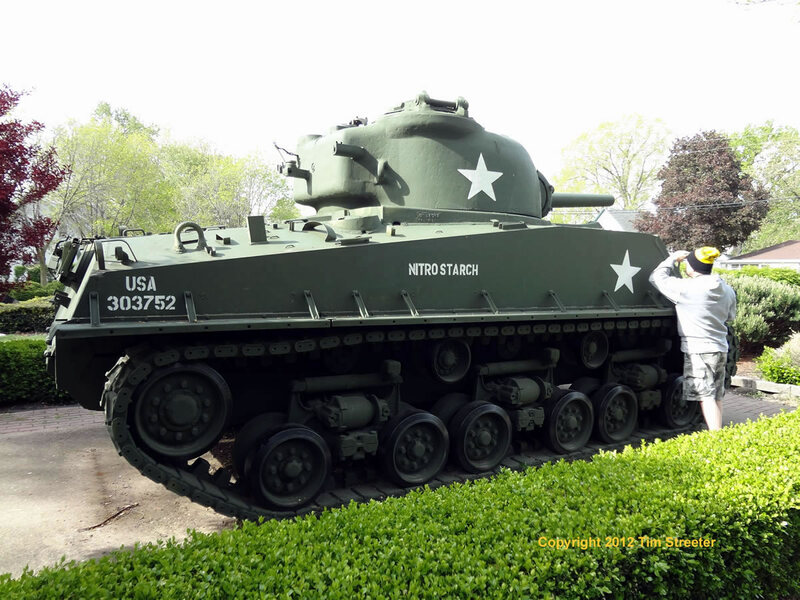 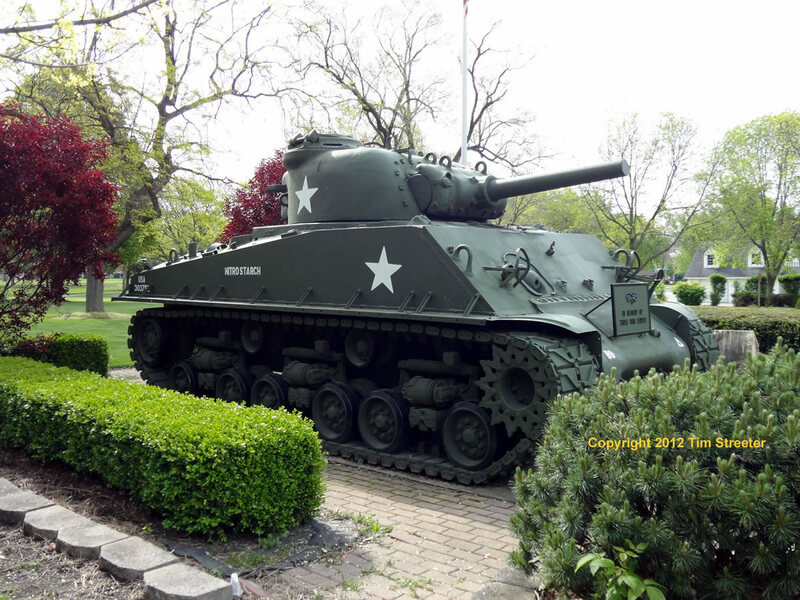 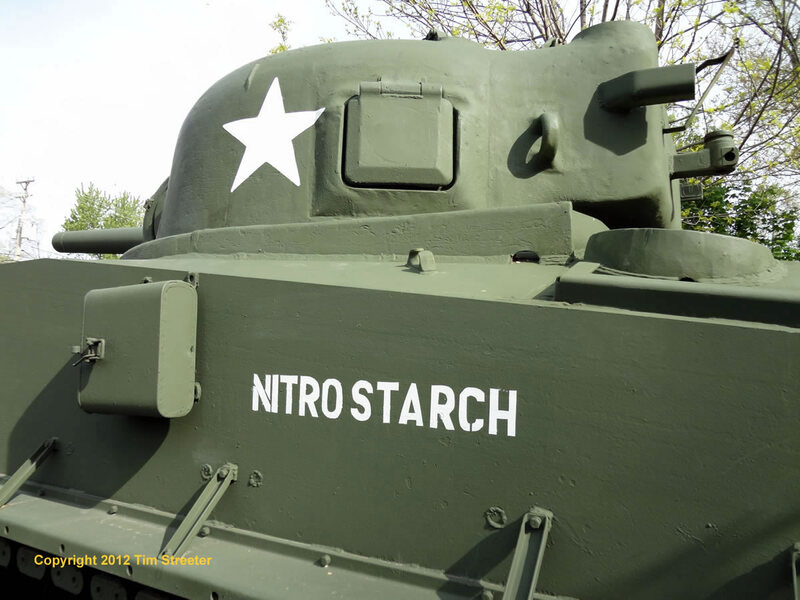 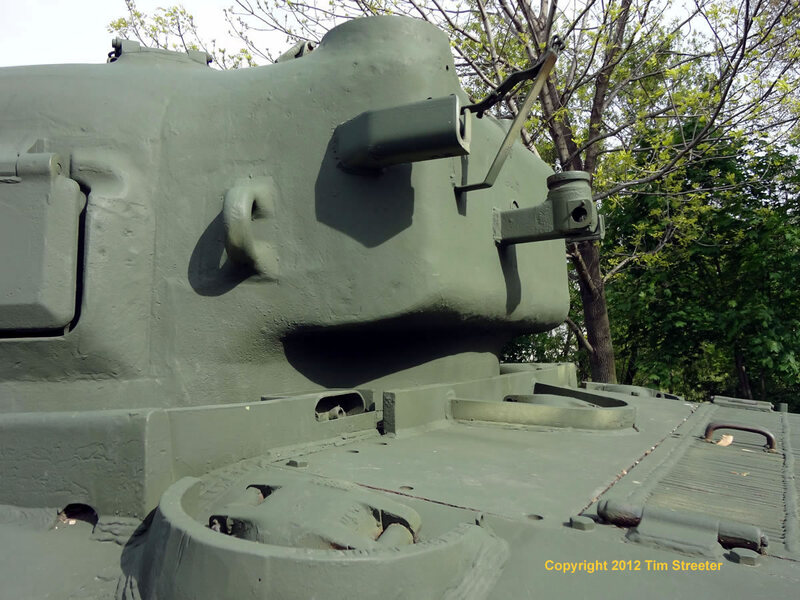 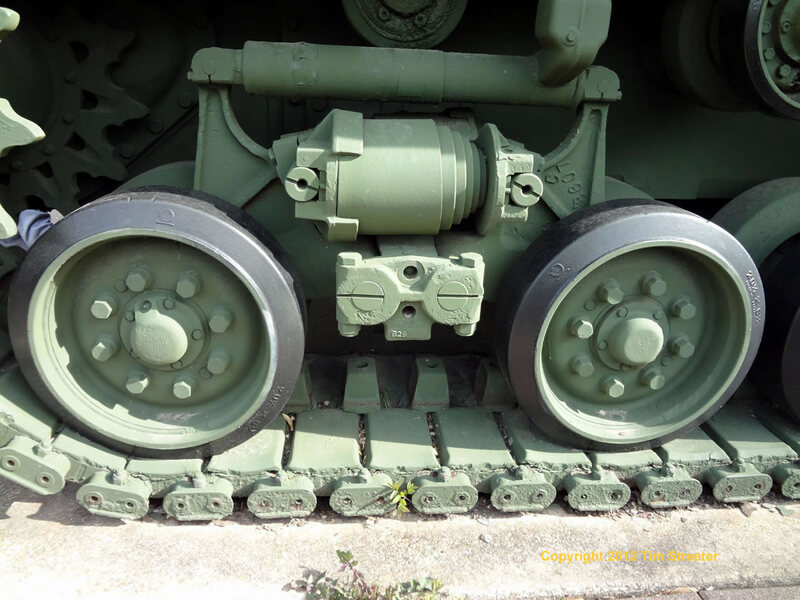 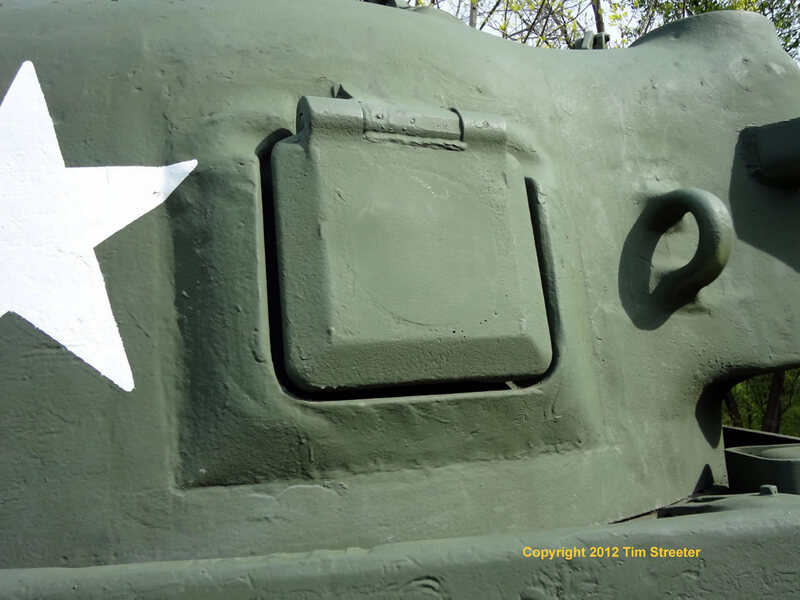 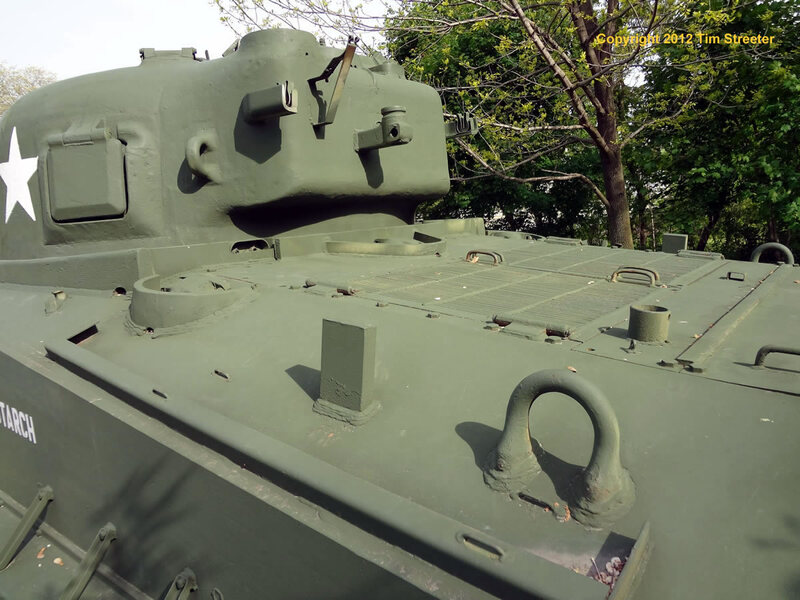 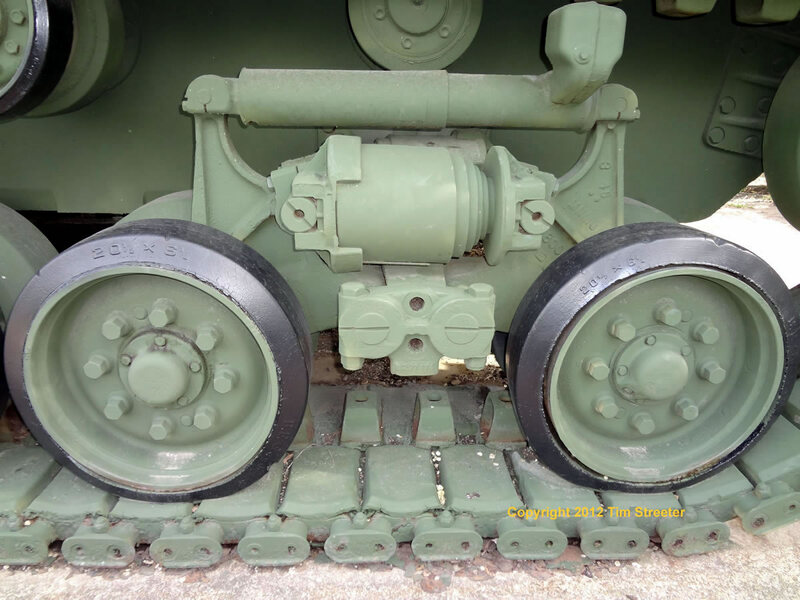 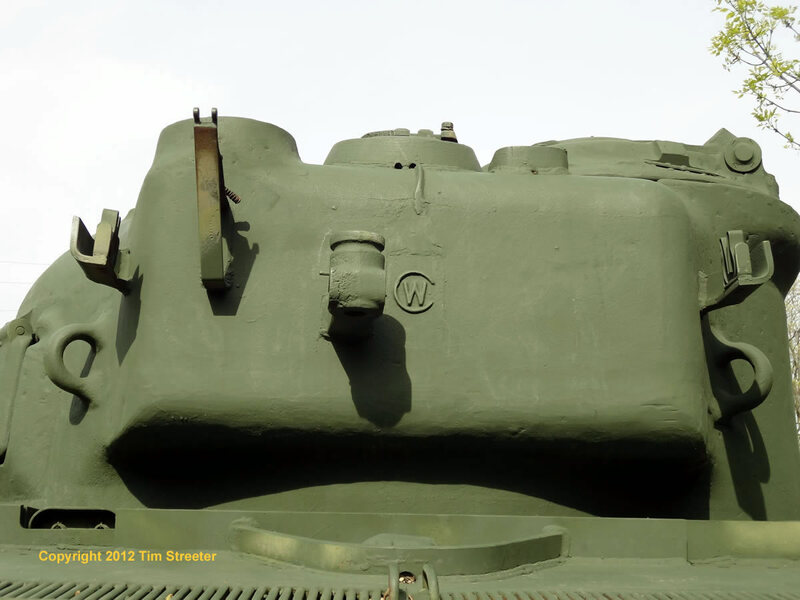 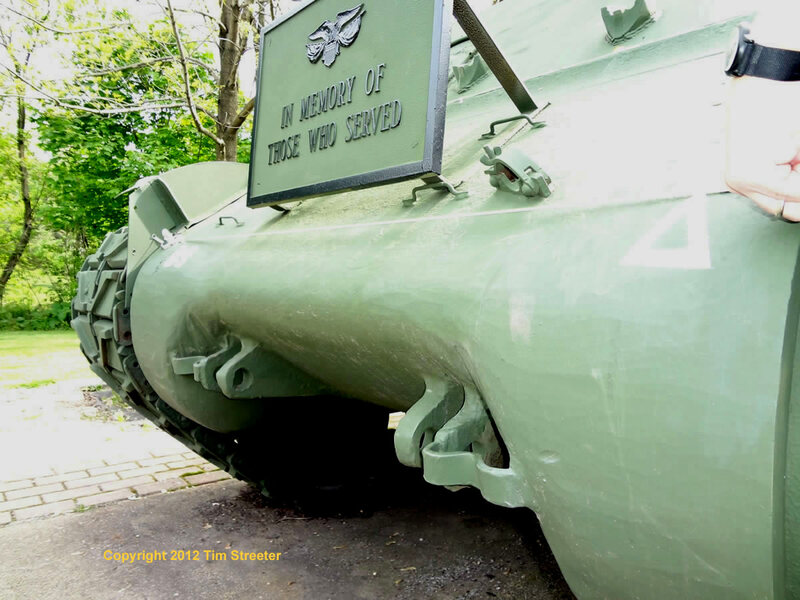 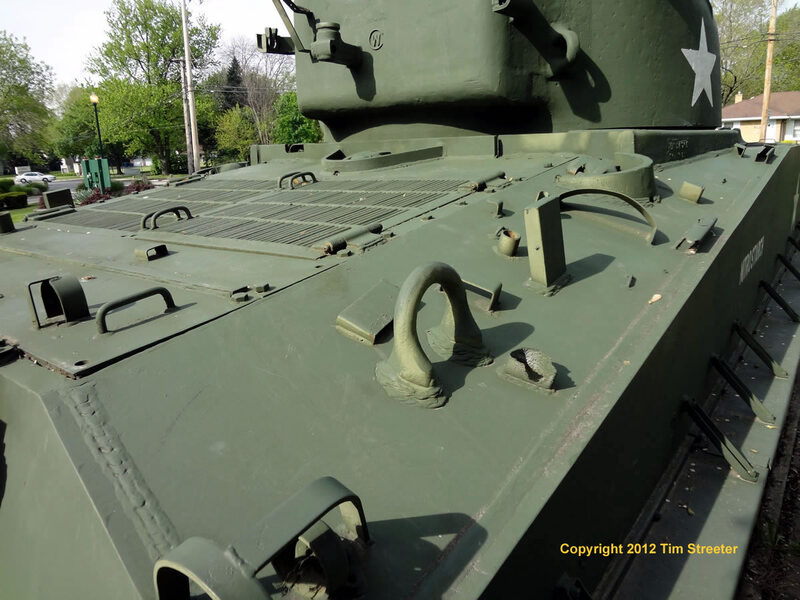 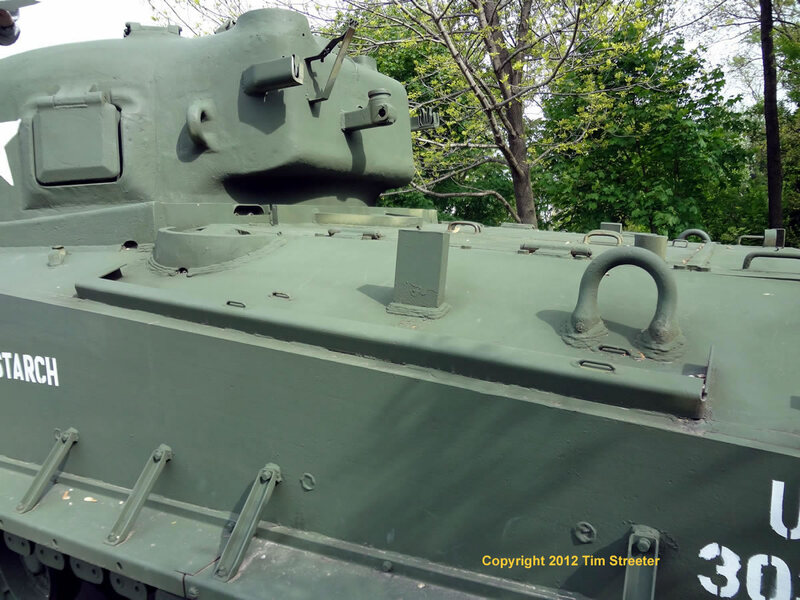 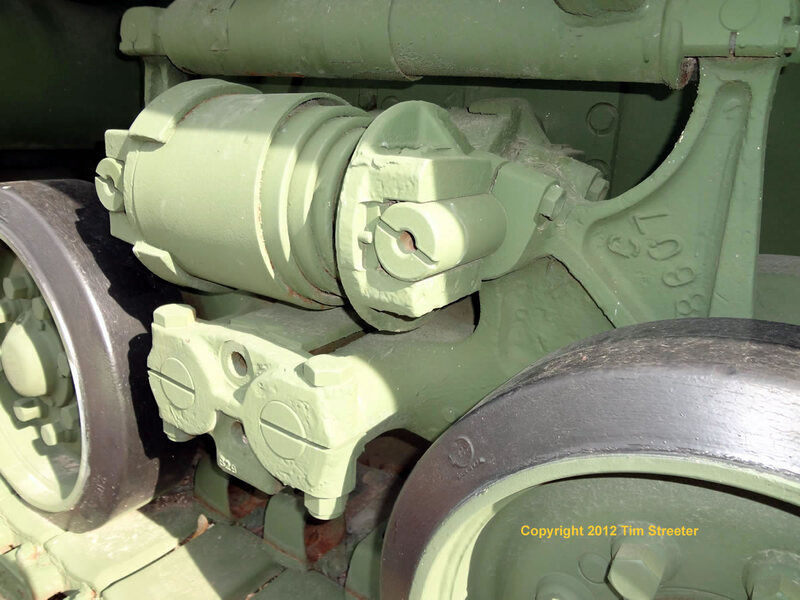 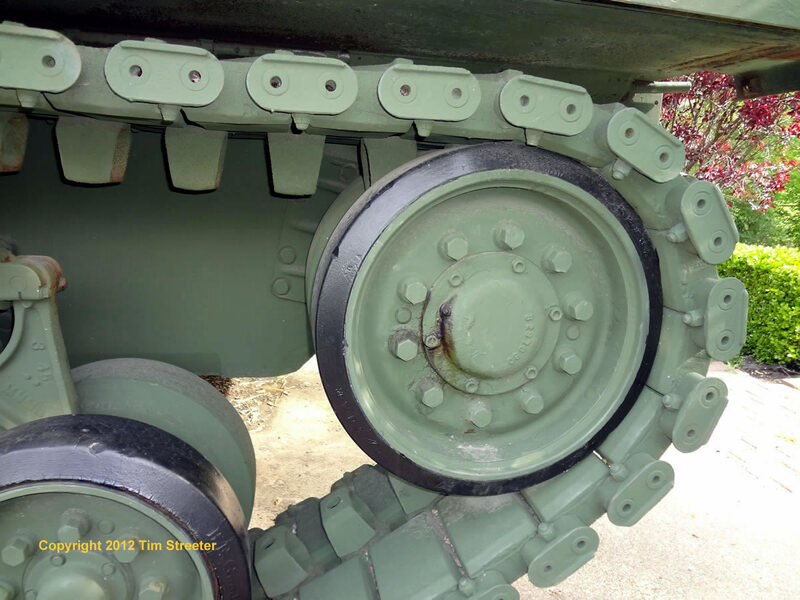 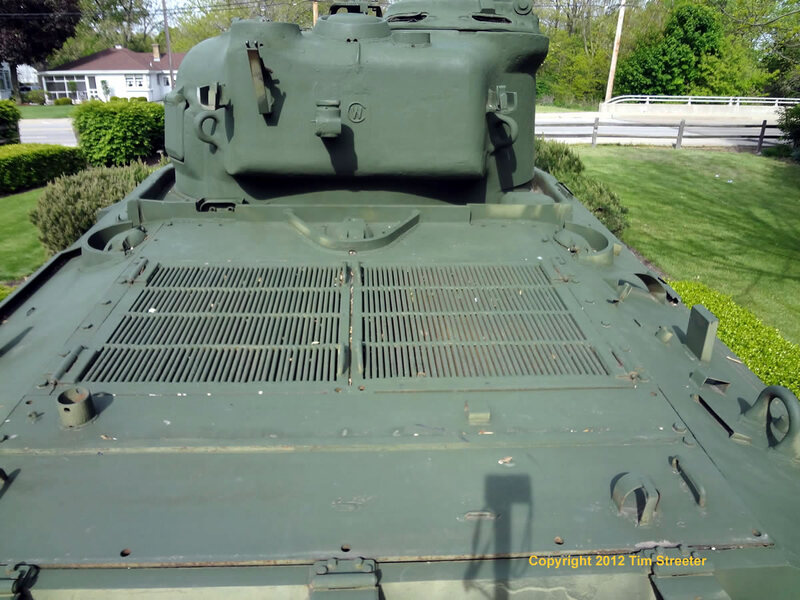 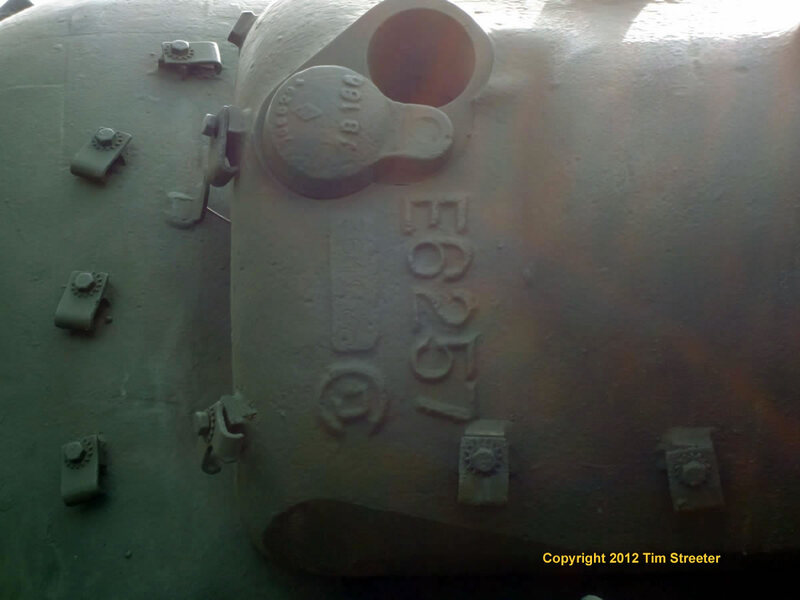 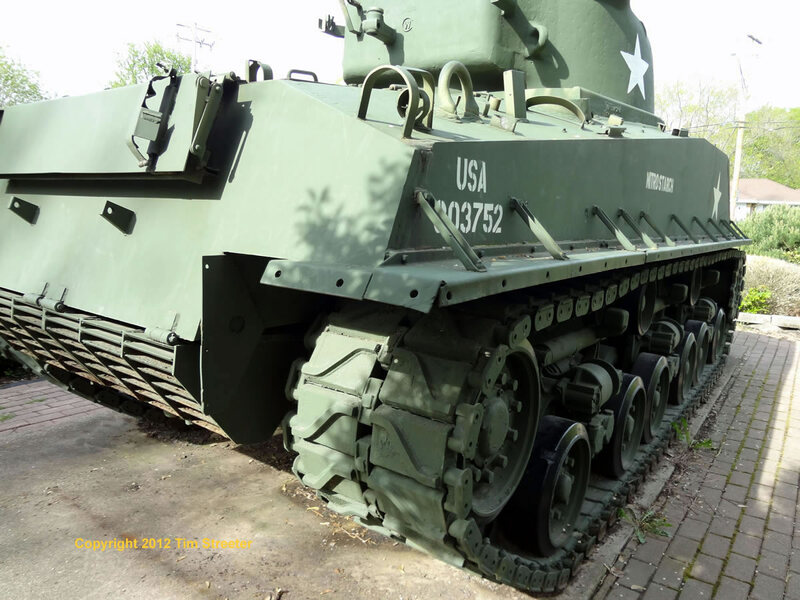 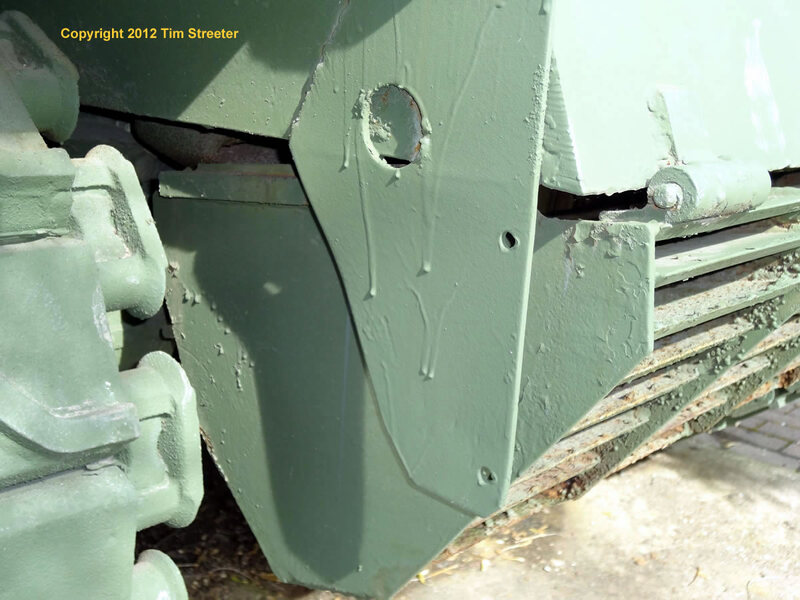 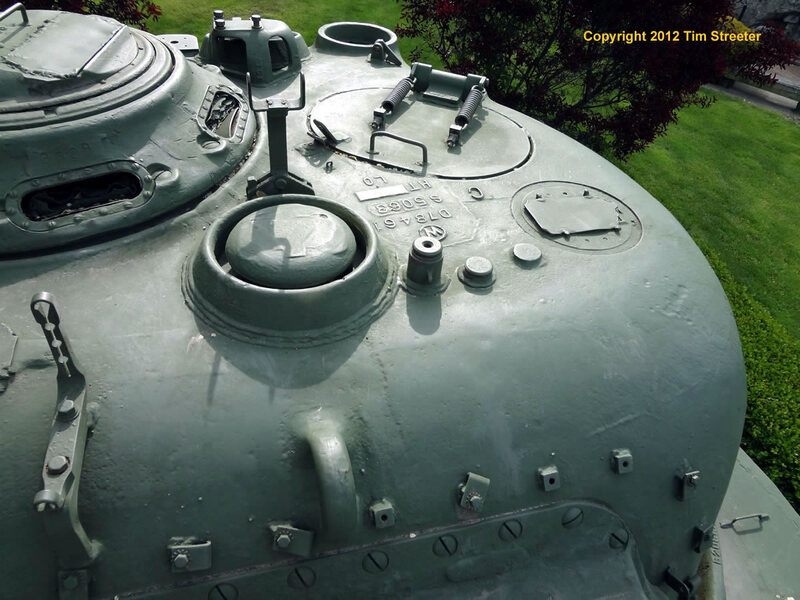 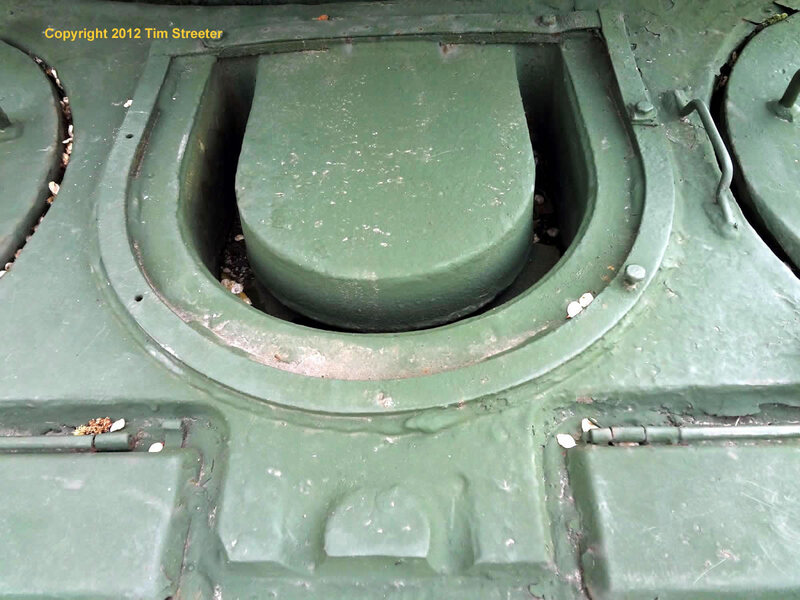 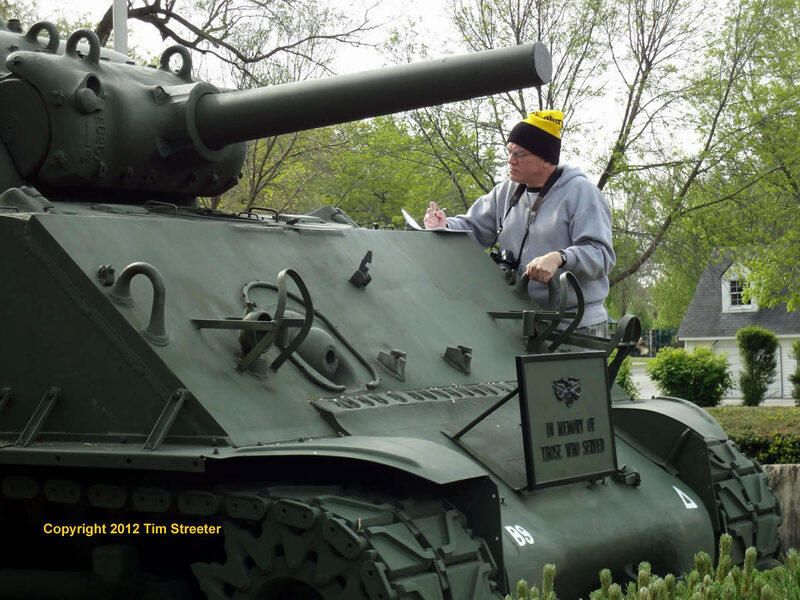 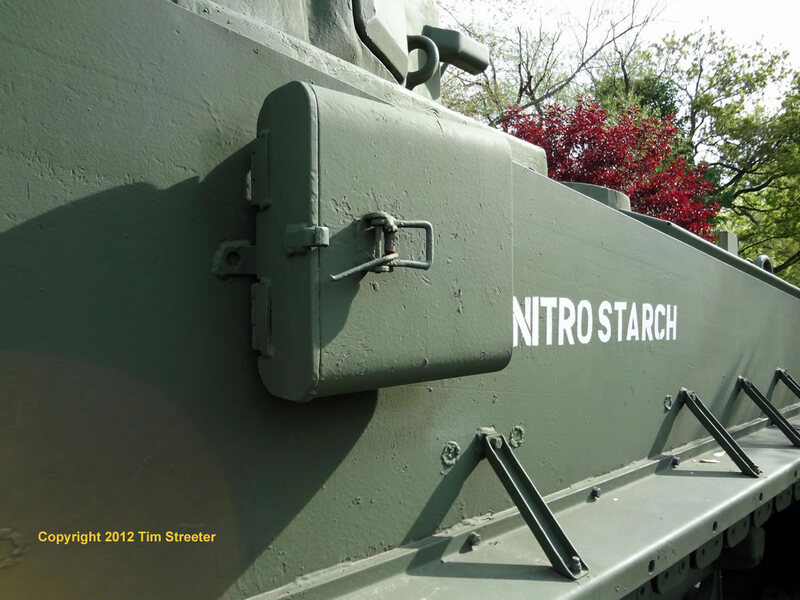 Kurt Laughlin identifies this Sherman, photographed South Holland, IN, in April 2012, as a good example of a late production howitzer tank. 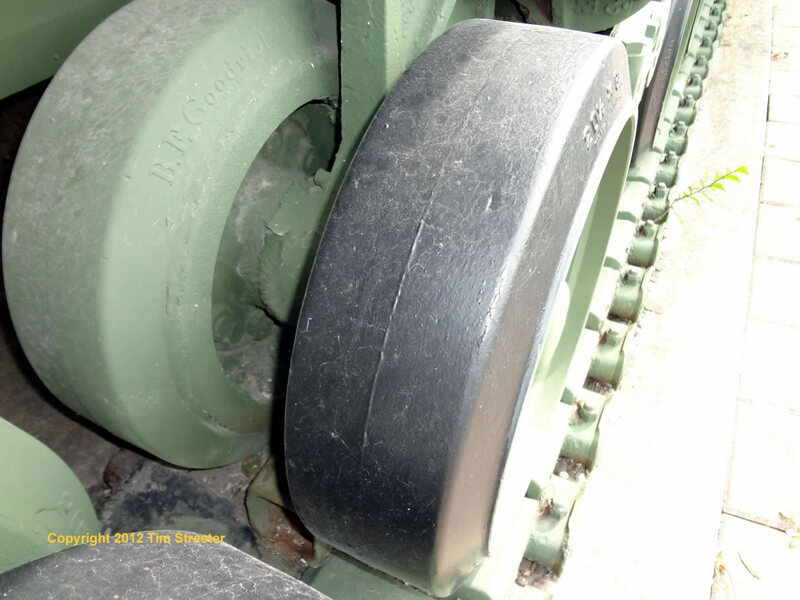 It was built in April 1945, and except for the spare track blocks that were removed (see the weld spots along the hull for the retaining bolts), it is probably pretty much as delivered. 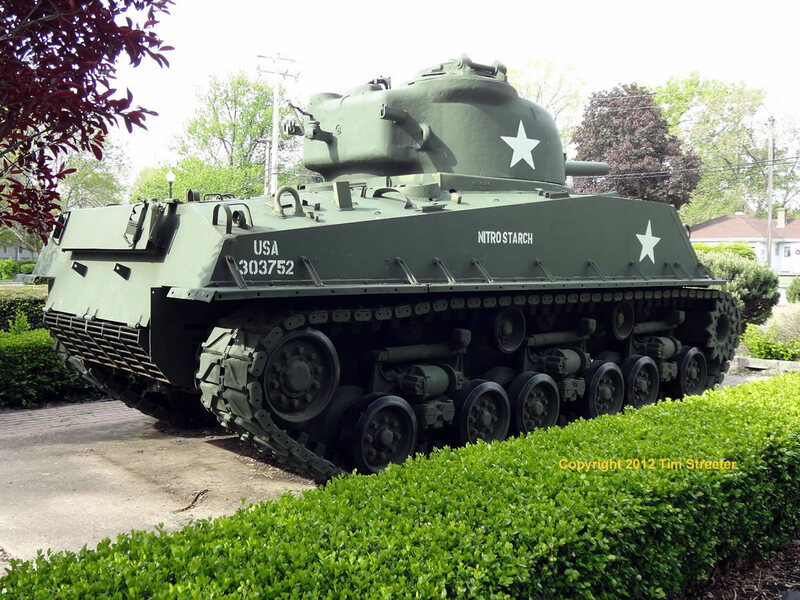 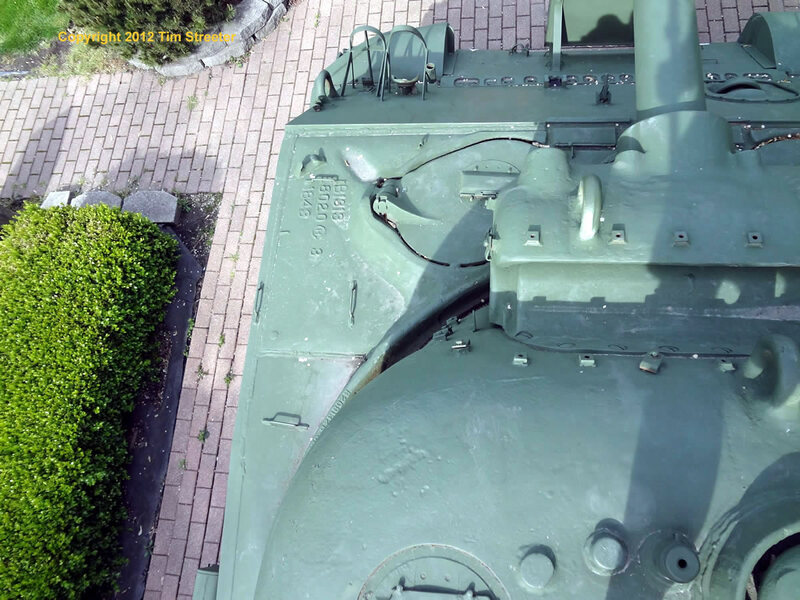 Howitzer tanks were unwanted by 1945, so it probably went straight to storage. 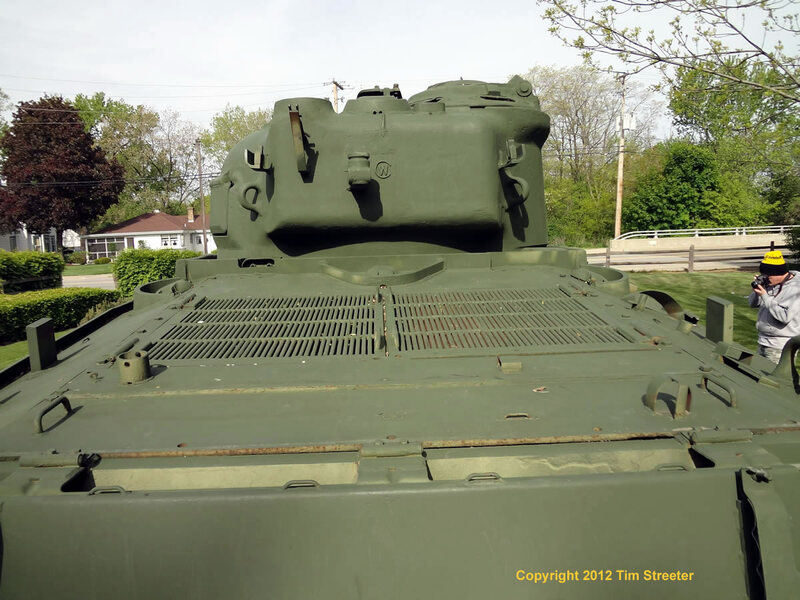 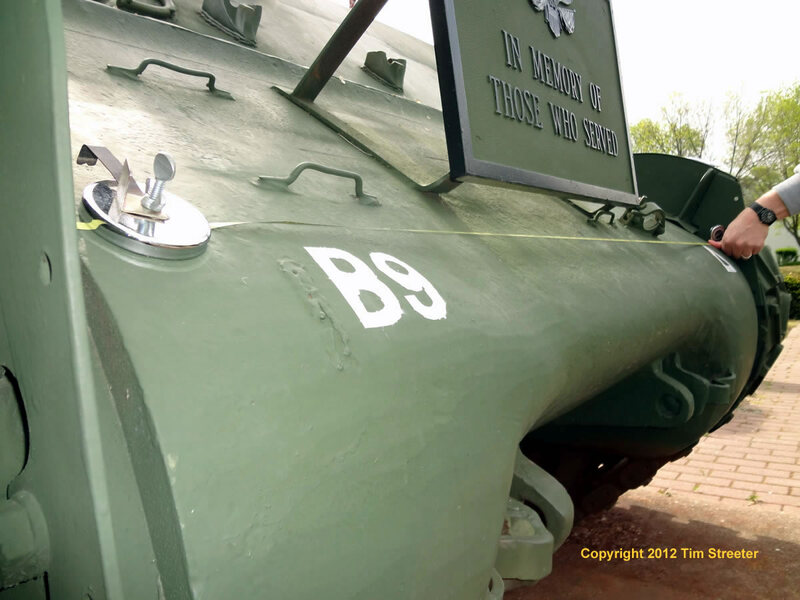 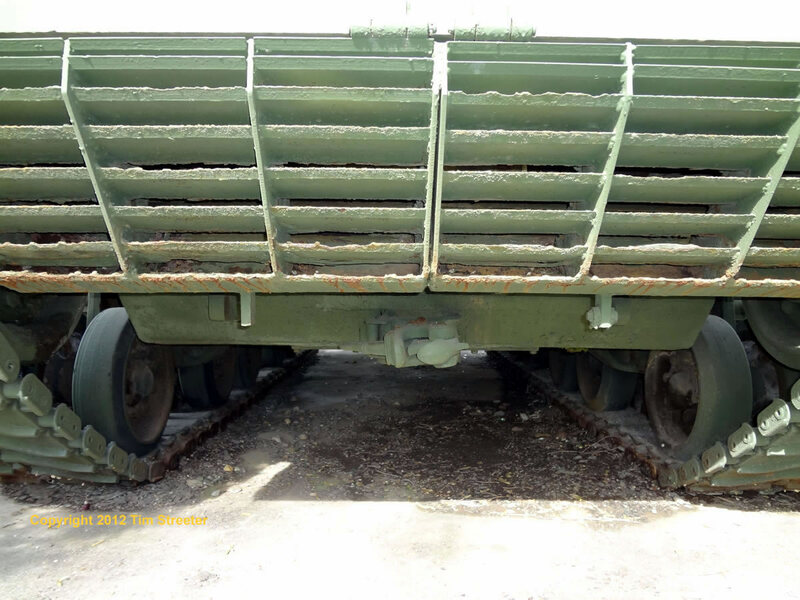 It is rare, as most were converted into gun tanks or M74 TRVs. 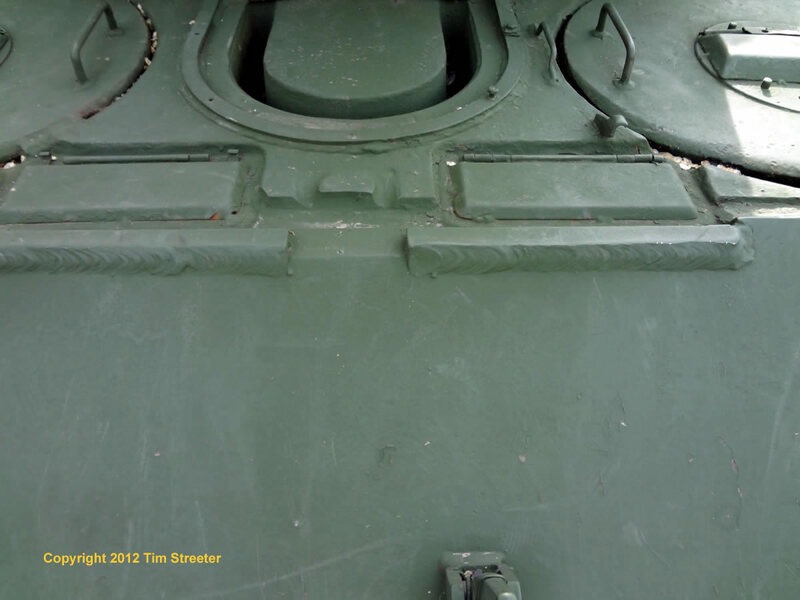 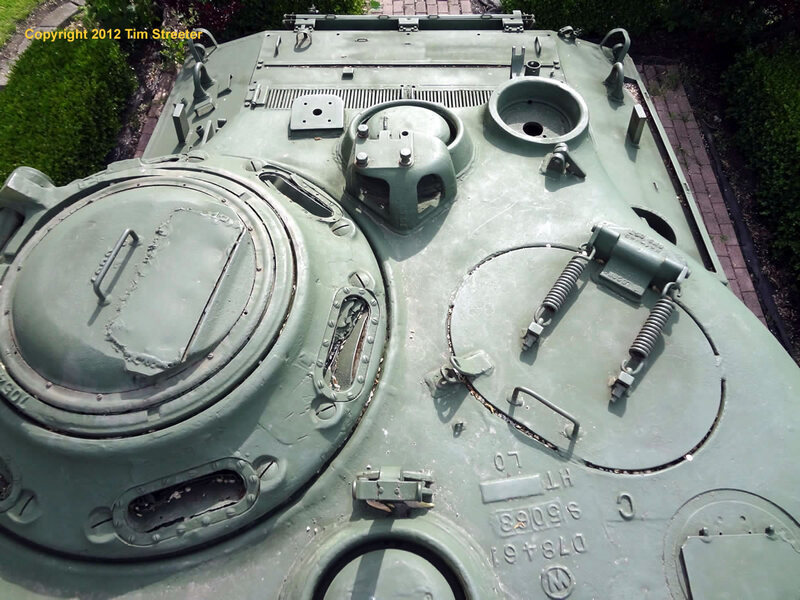 The engine deck is unmodified, the turret has the recontoured area under the tank commander's cupola, and the rotor shield has the movable telescope hole cover. 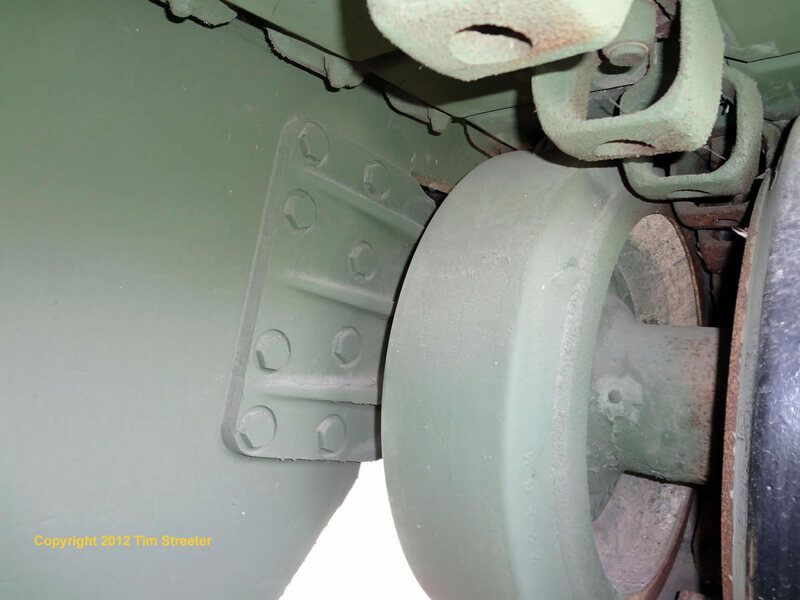 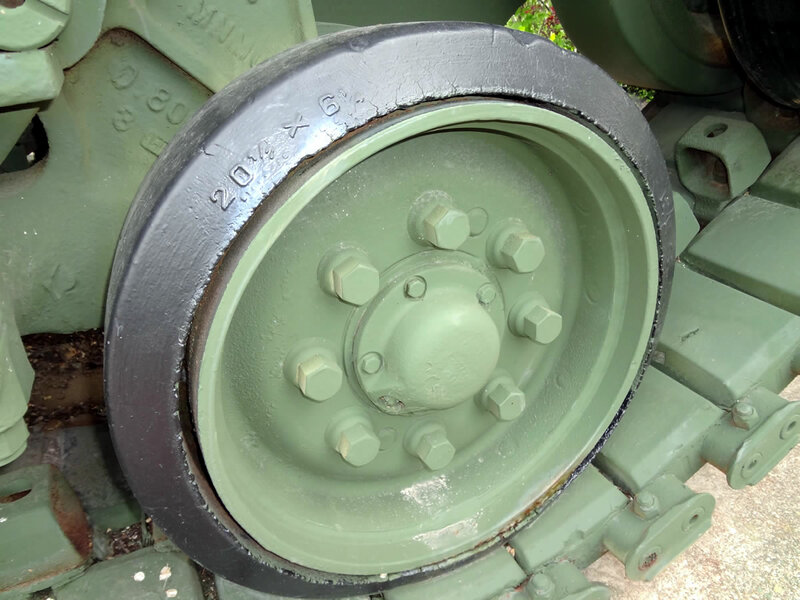 Kurt stretched a metal tape across the differential cover to show how the nose is depressed across the center and raised slightly on each end, a detail that is missed on scale models.